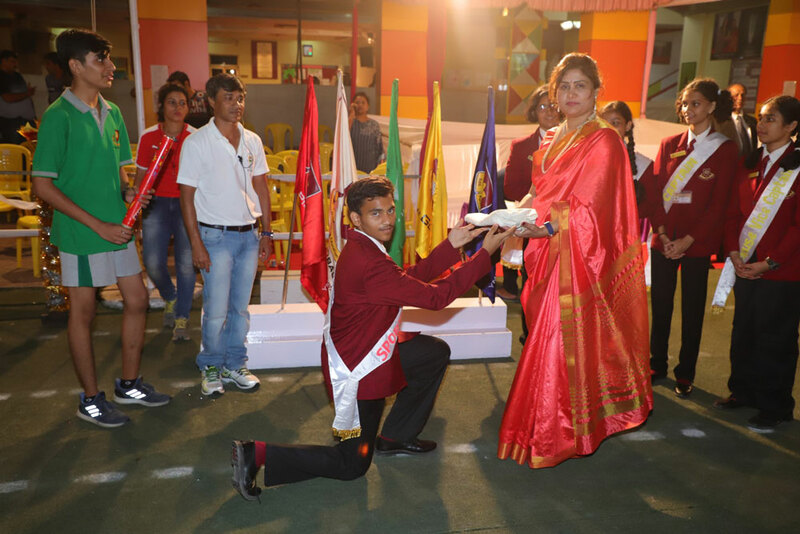 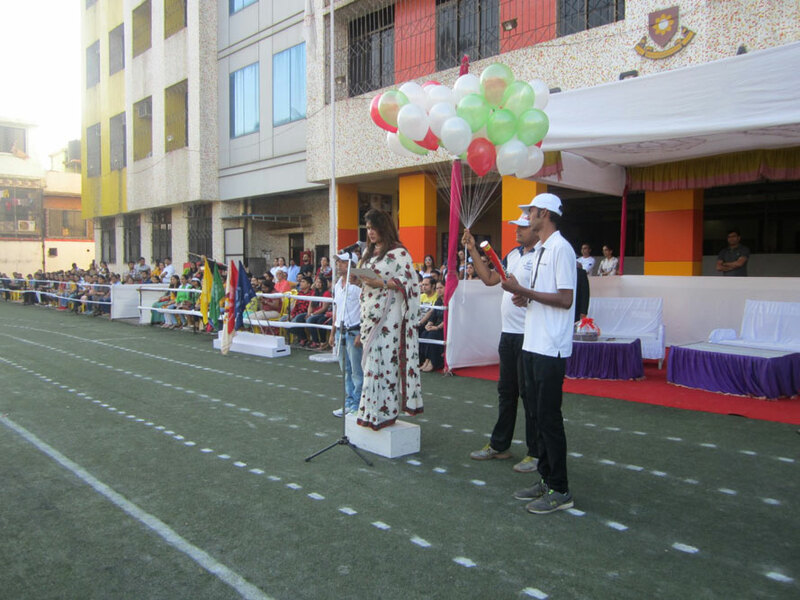 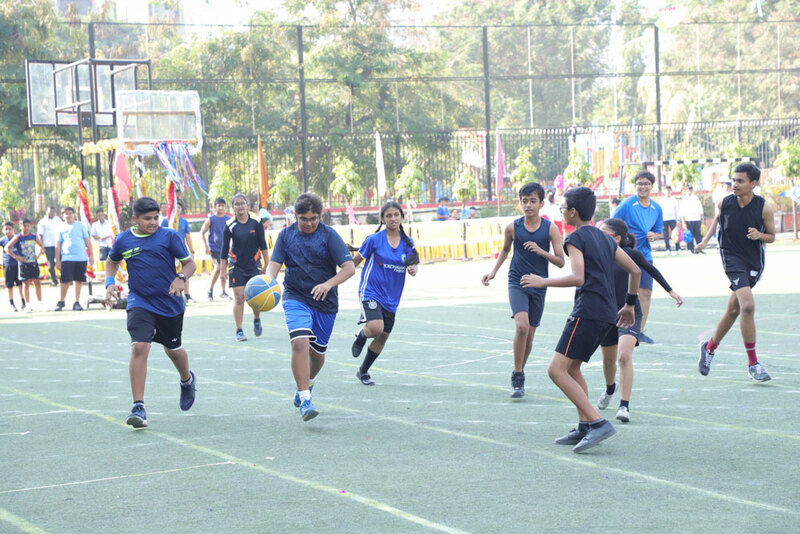 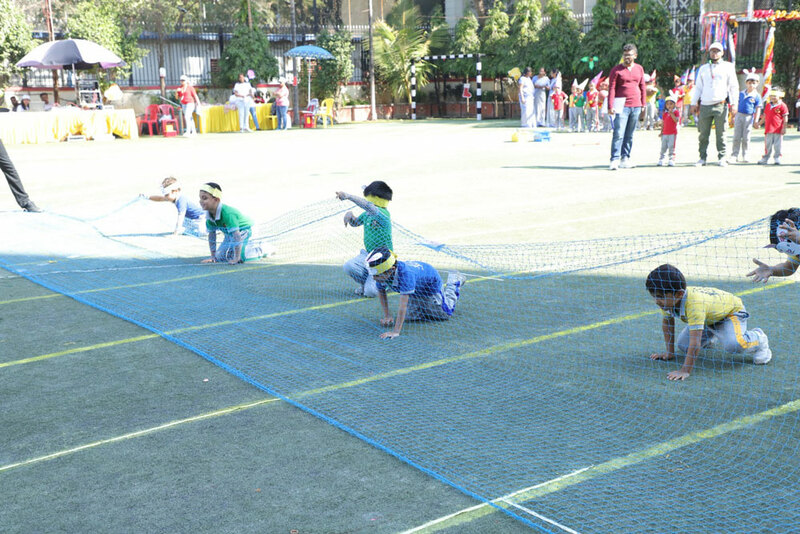 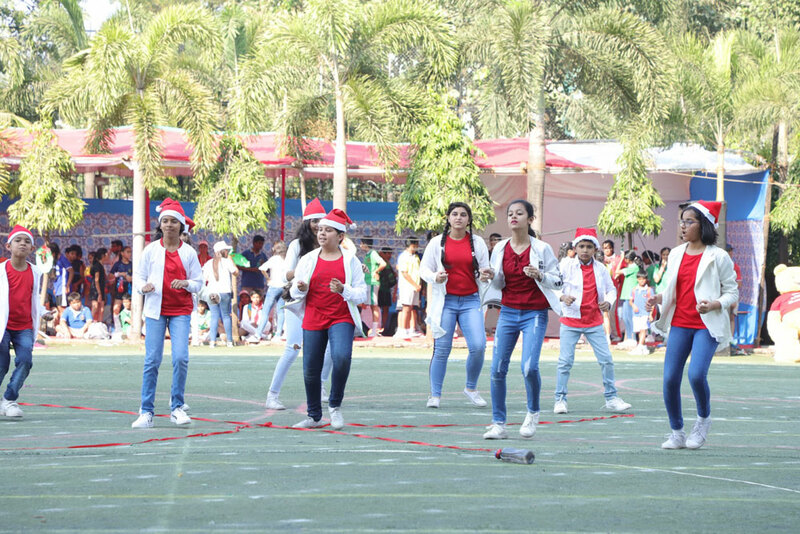 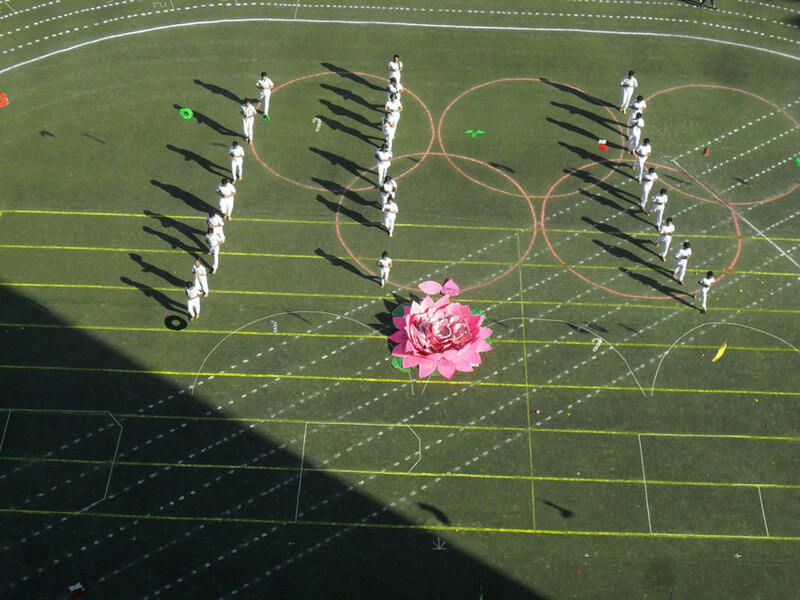 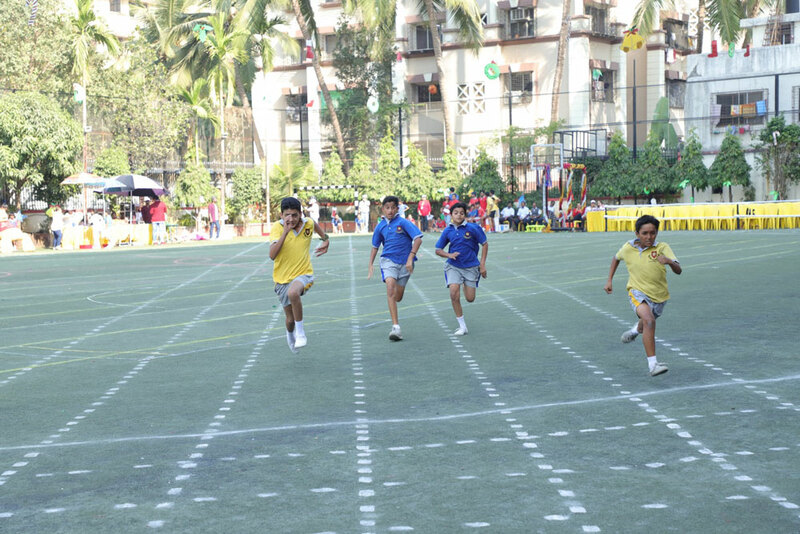 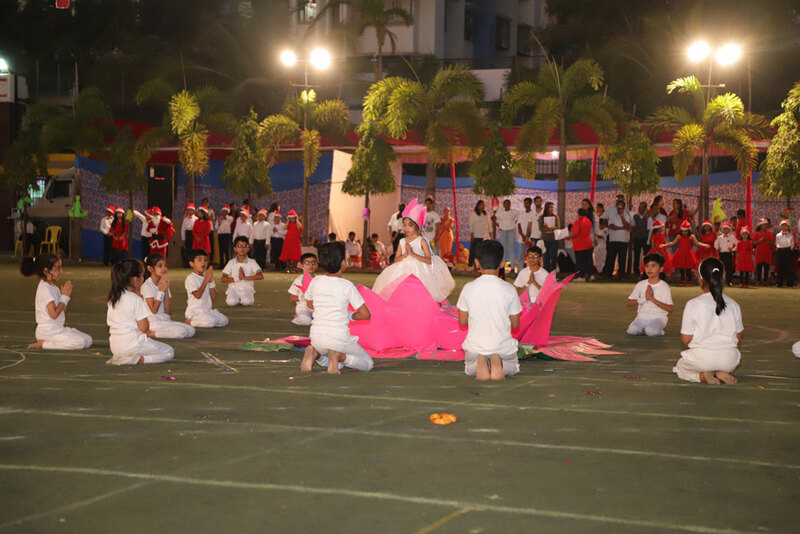 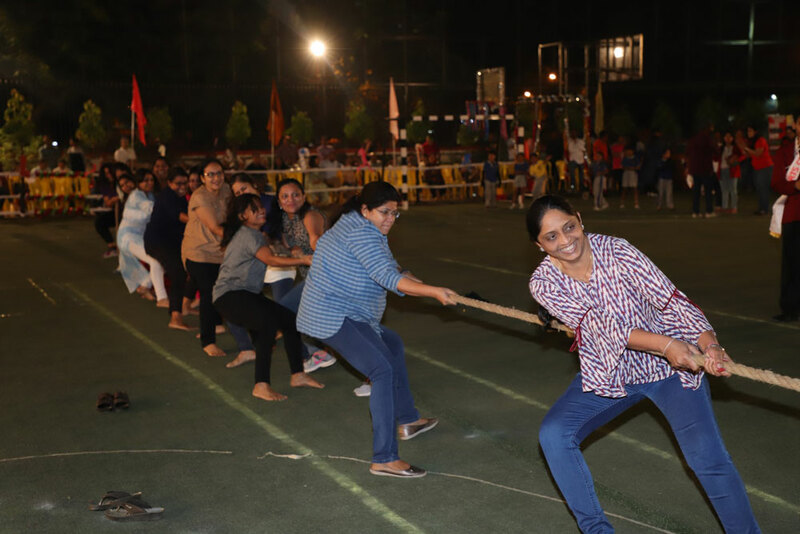 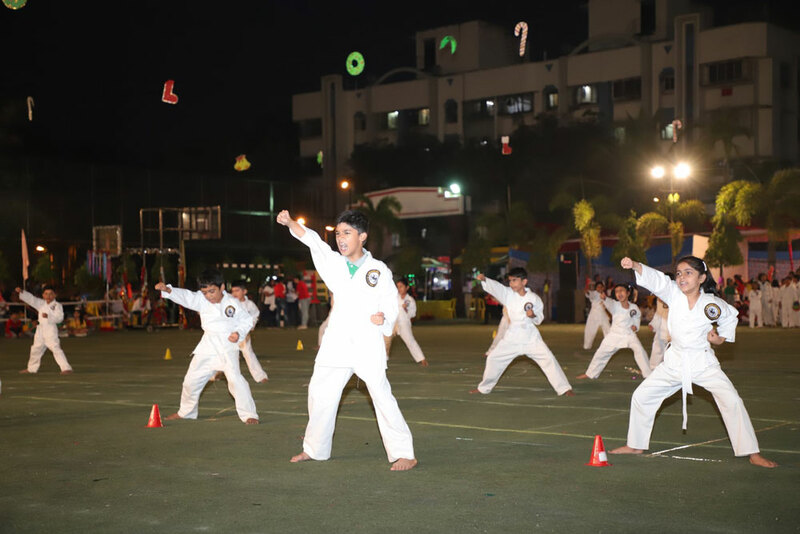 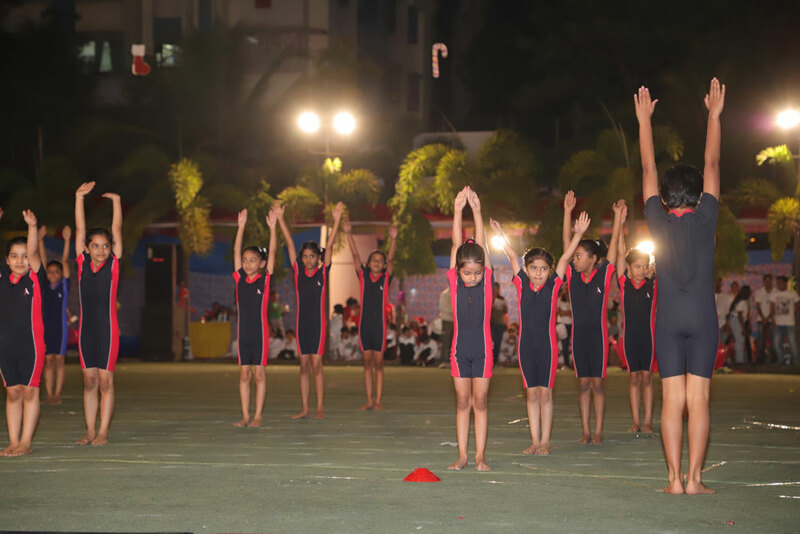 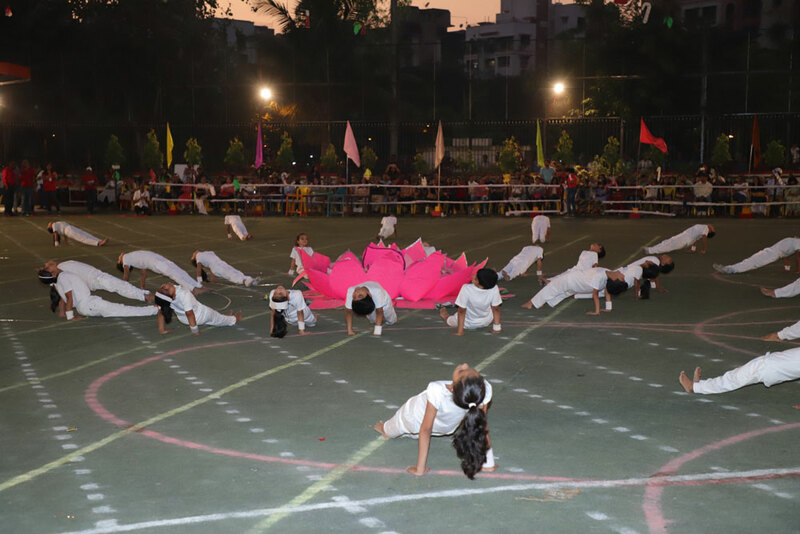 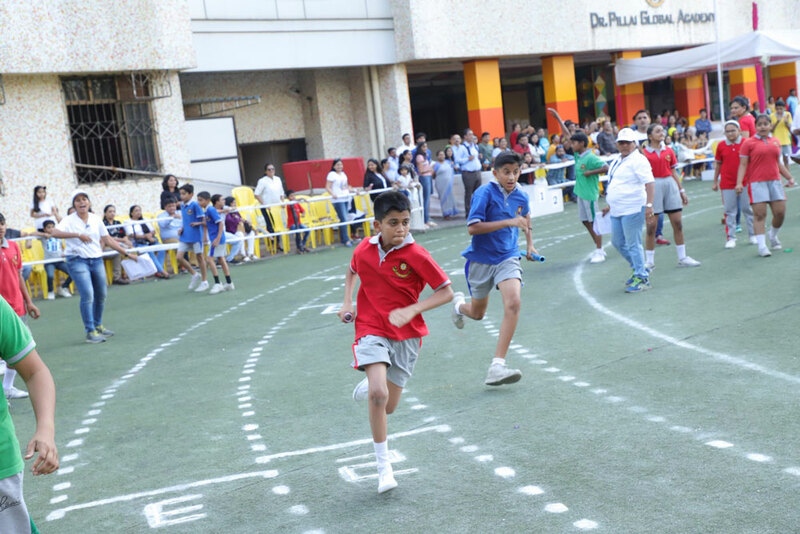 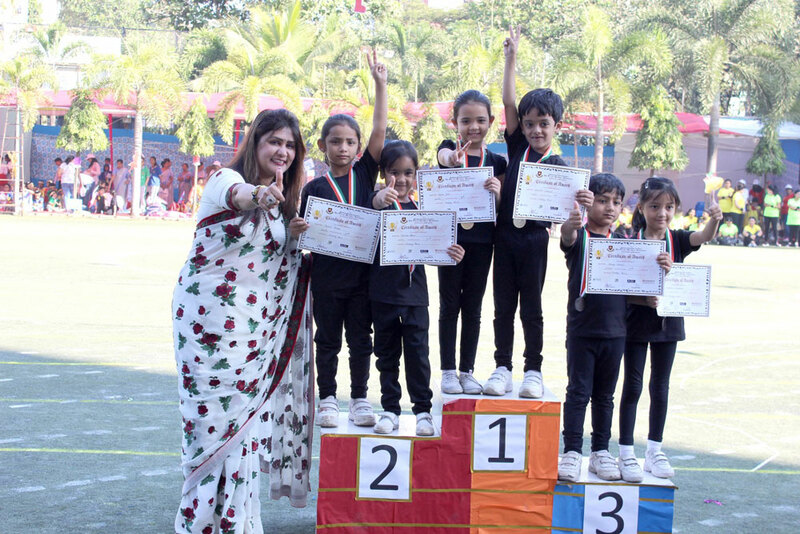 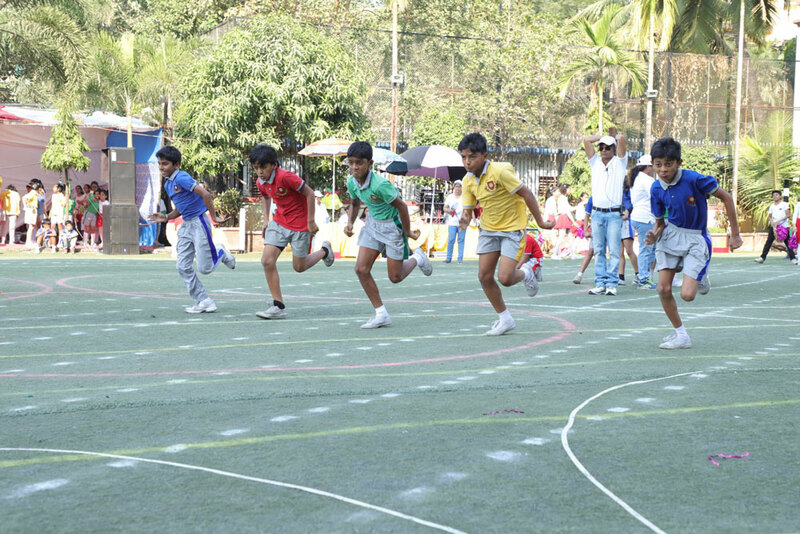 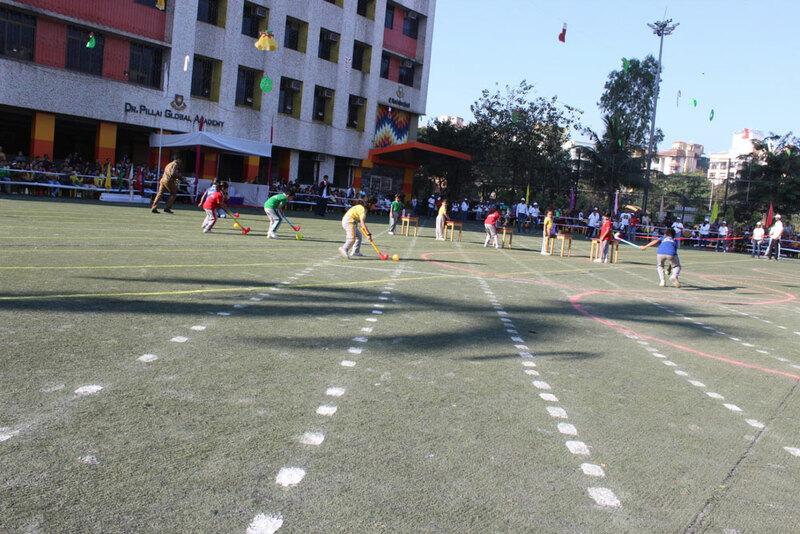 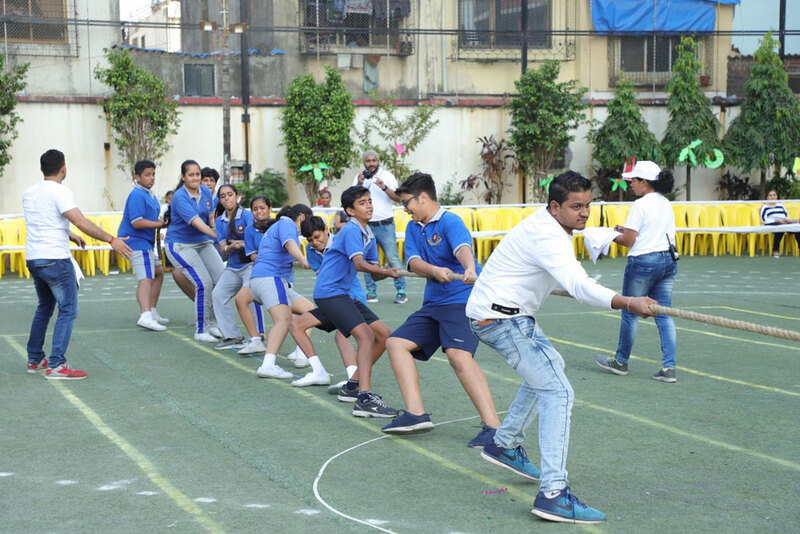 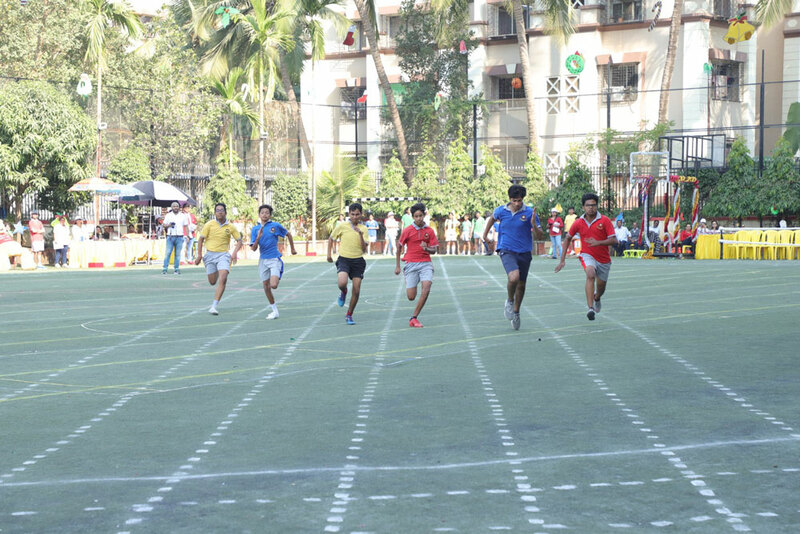 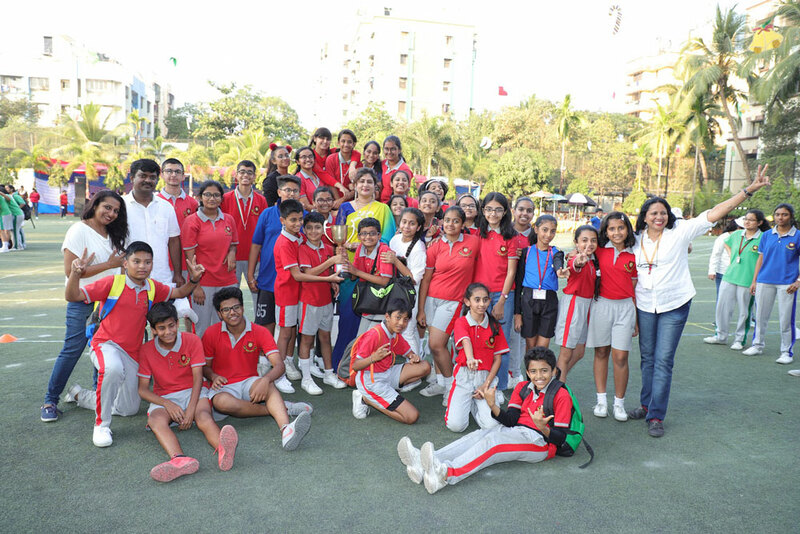 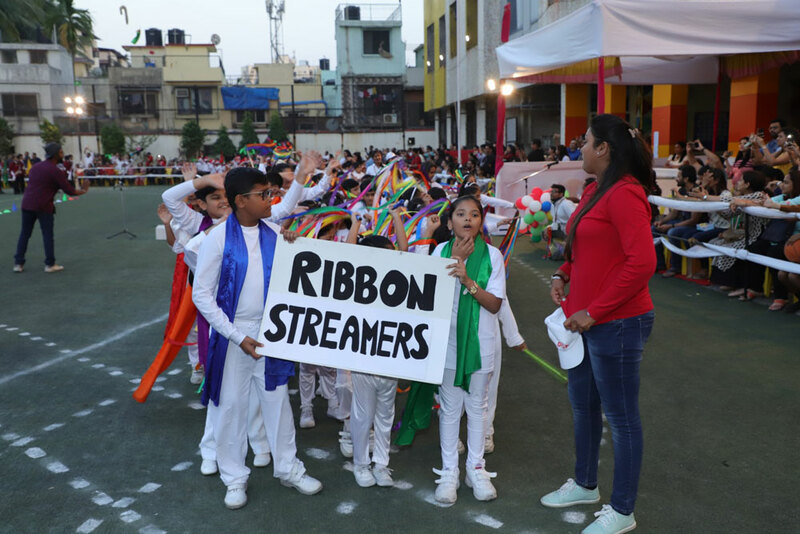 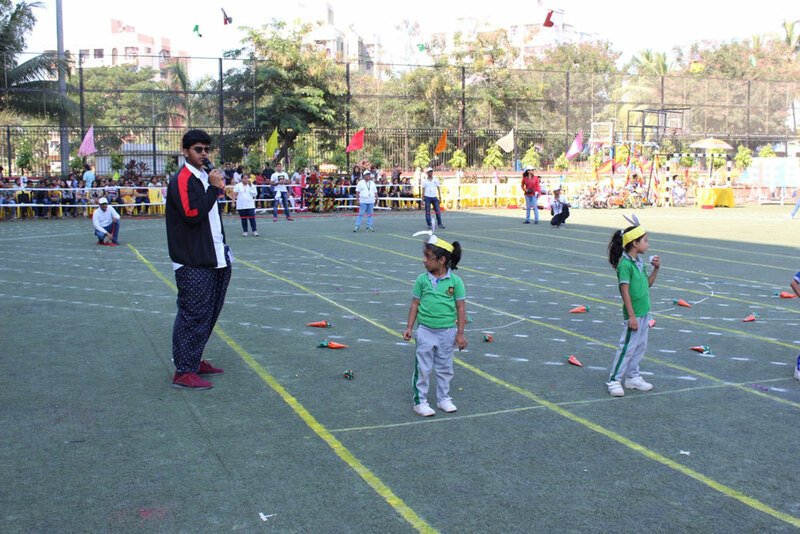 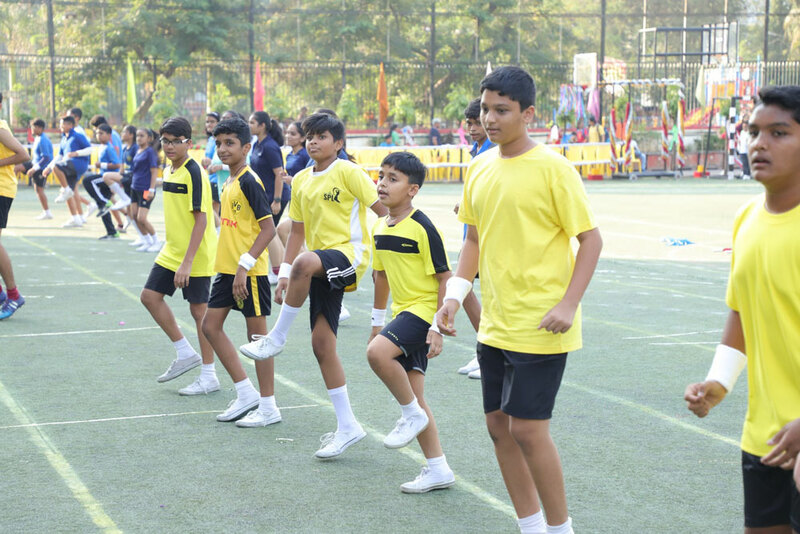 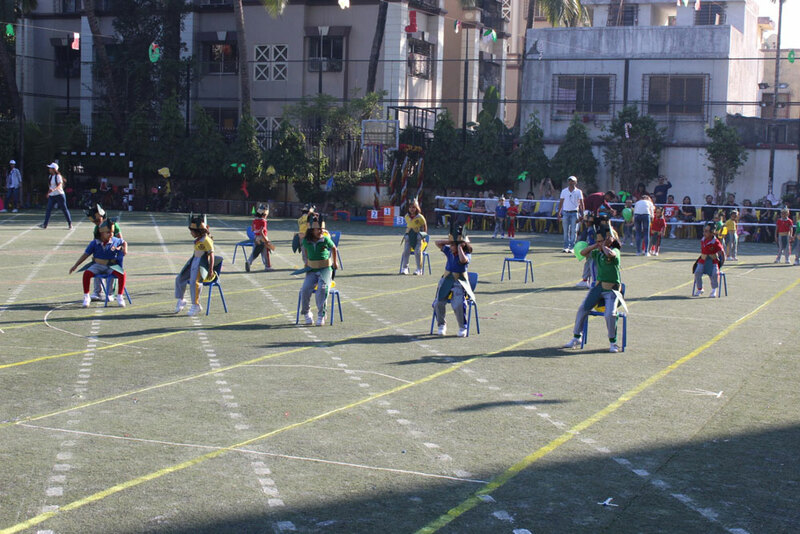 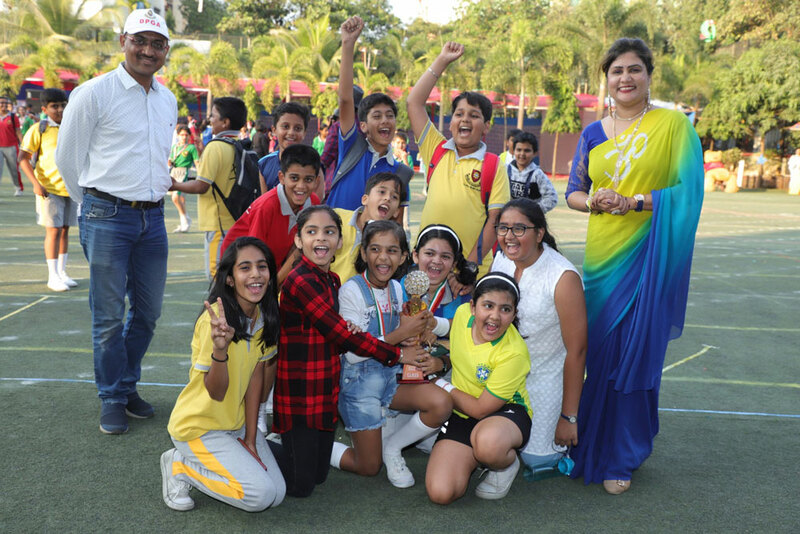 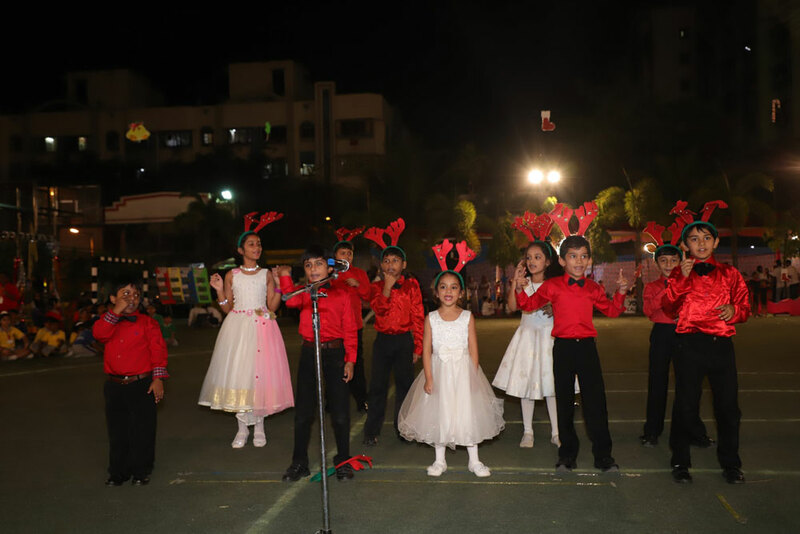 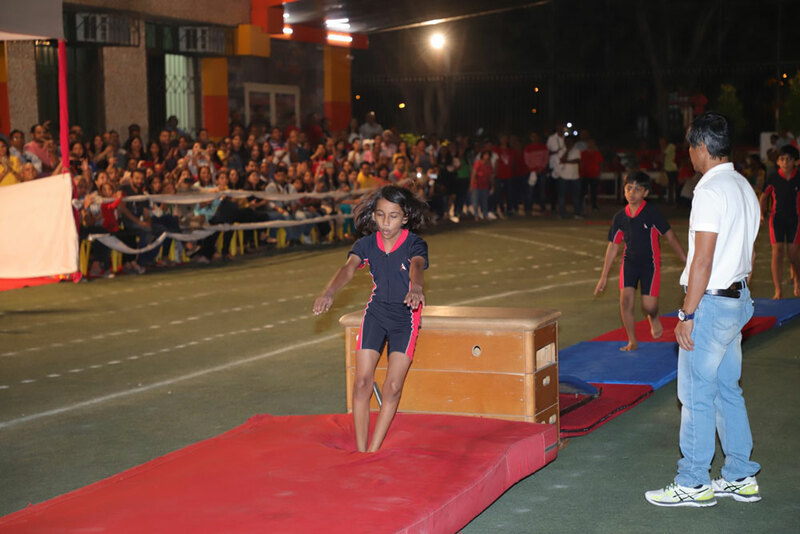 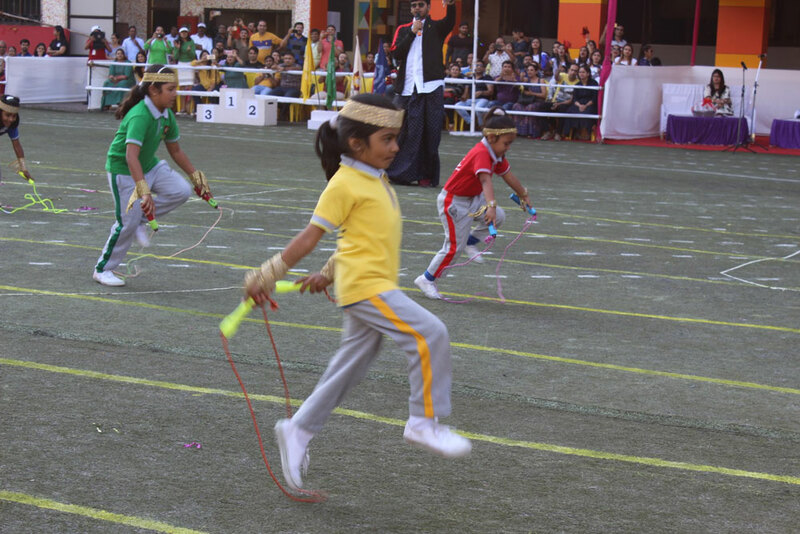 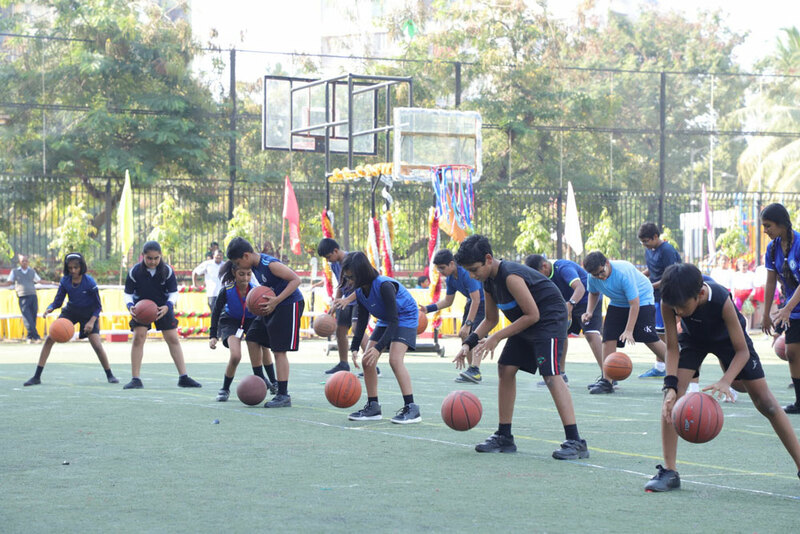 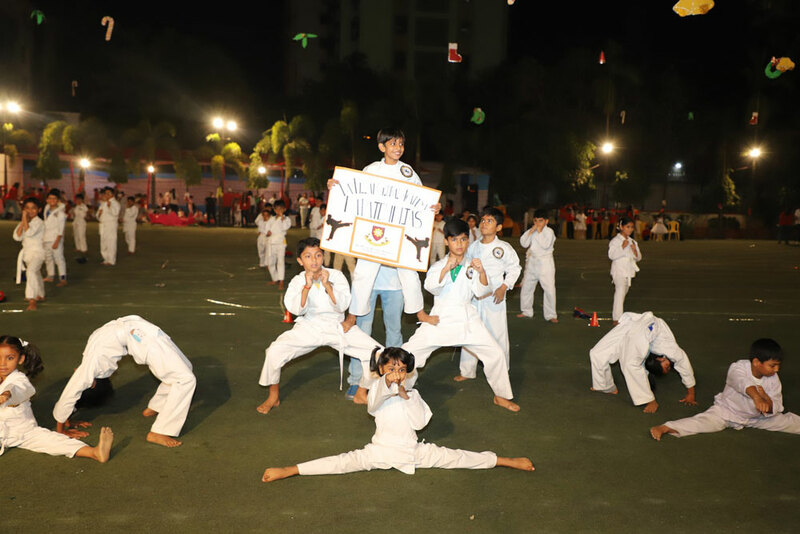 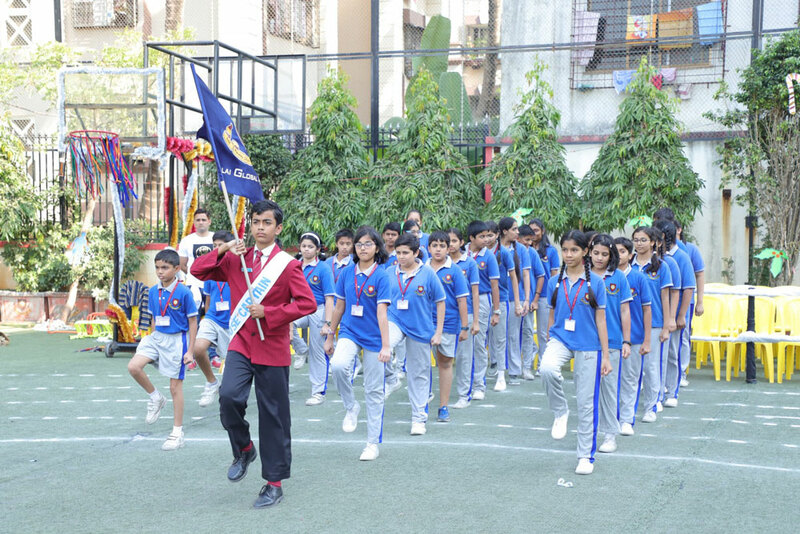 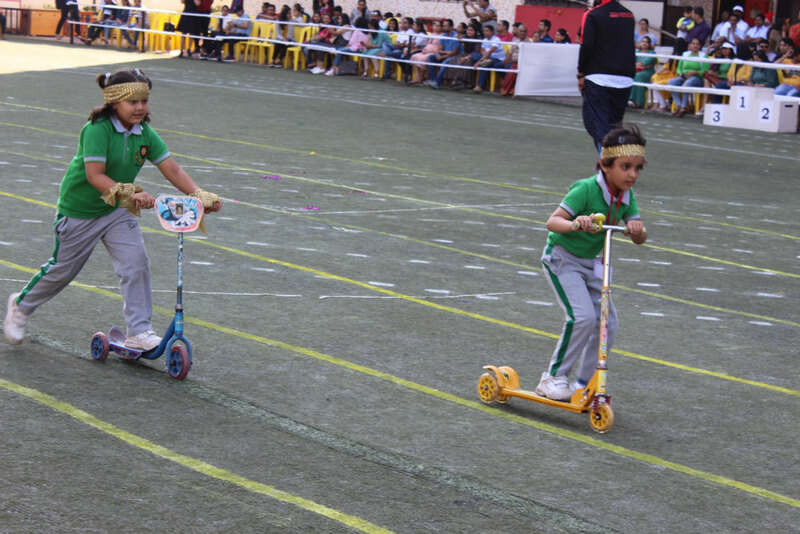 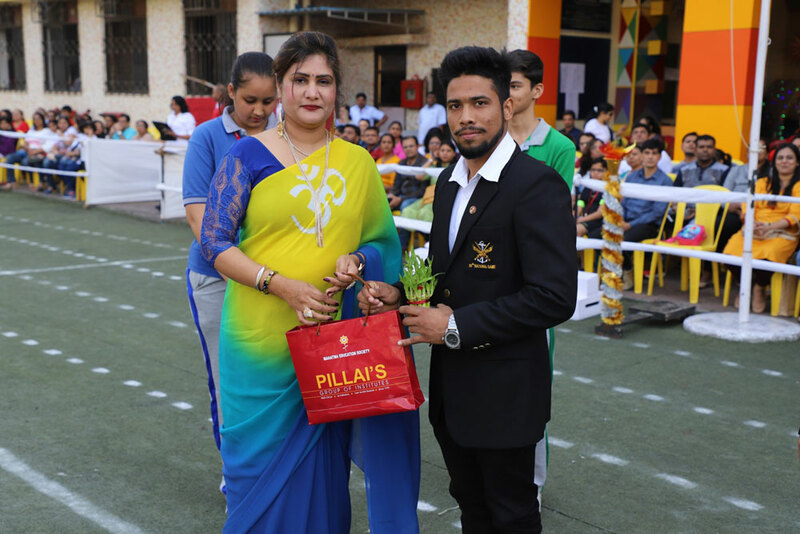 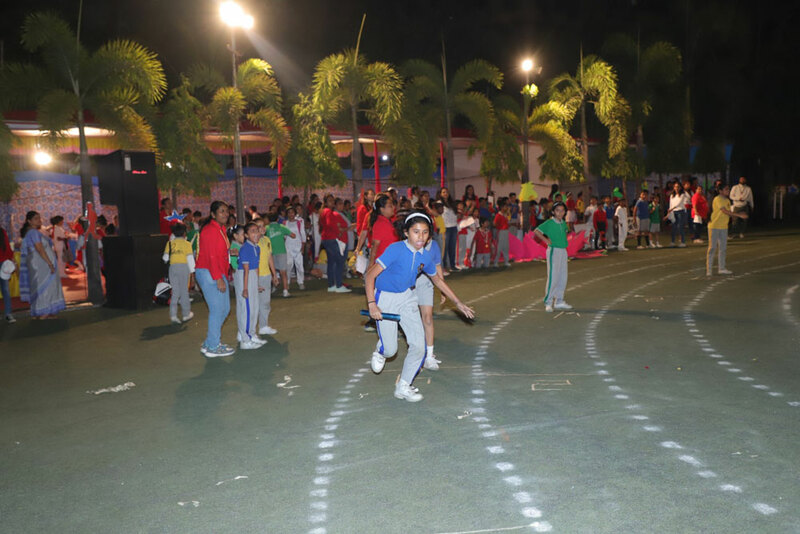 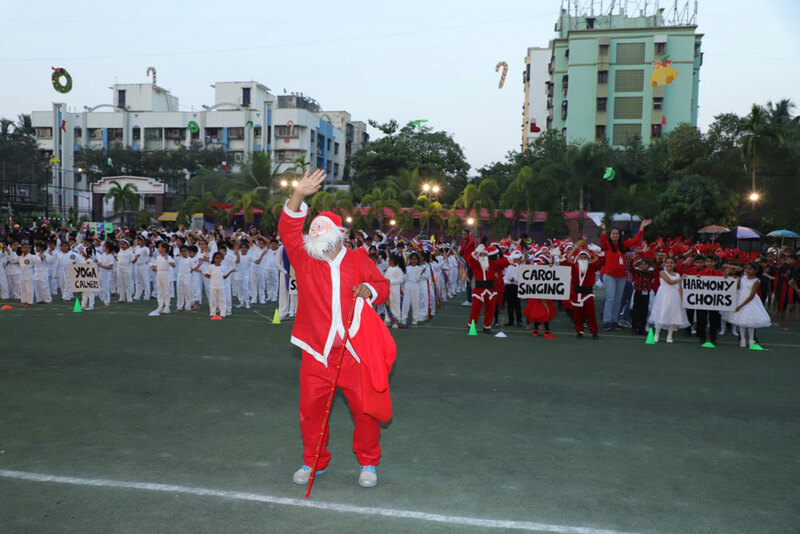 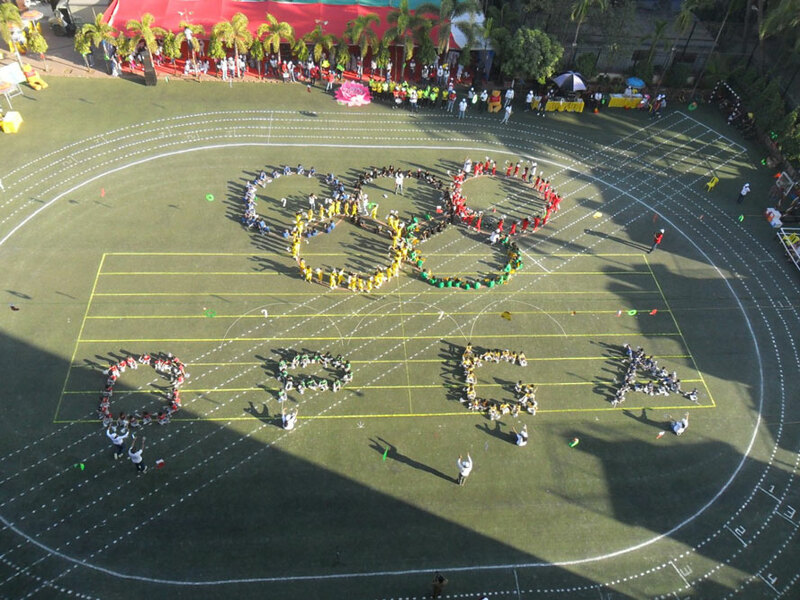 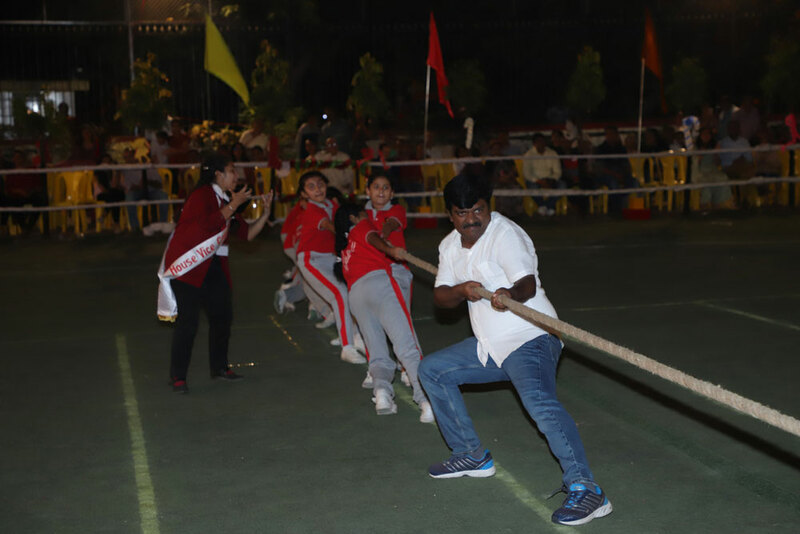 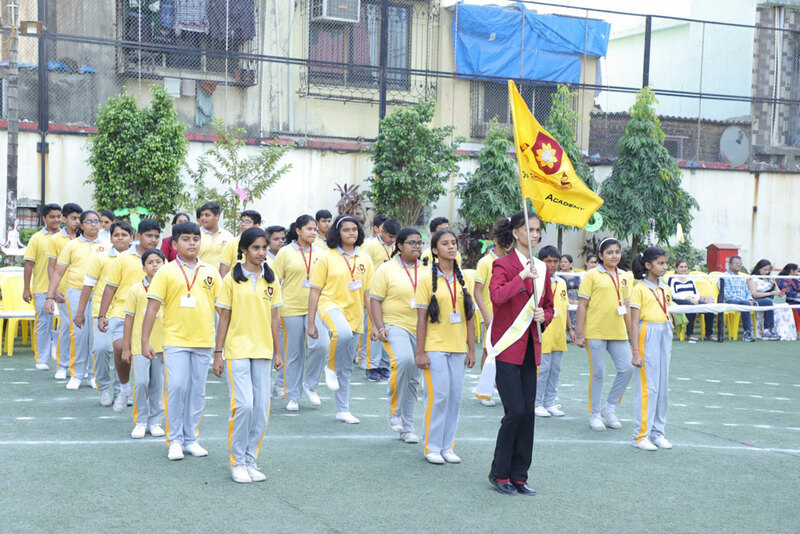 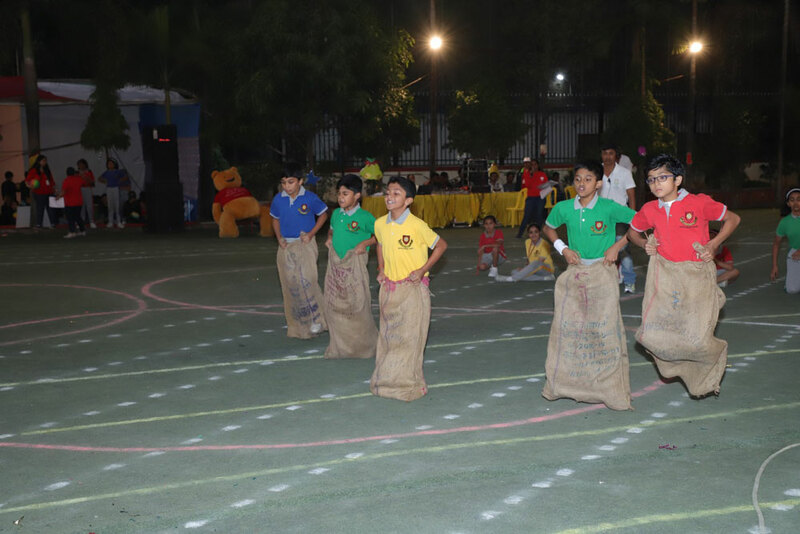 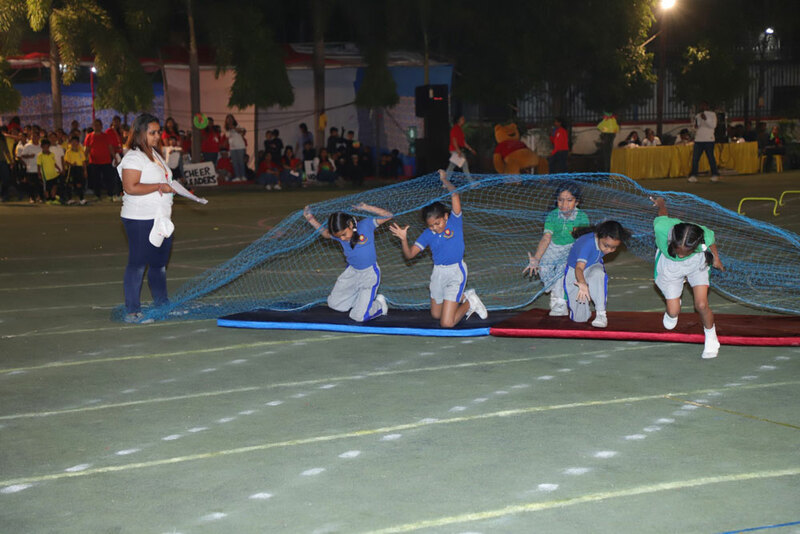 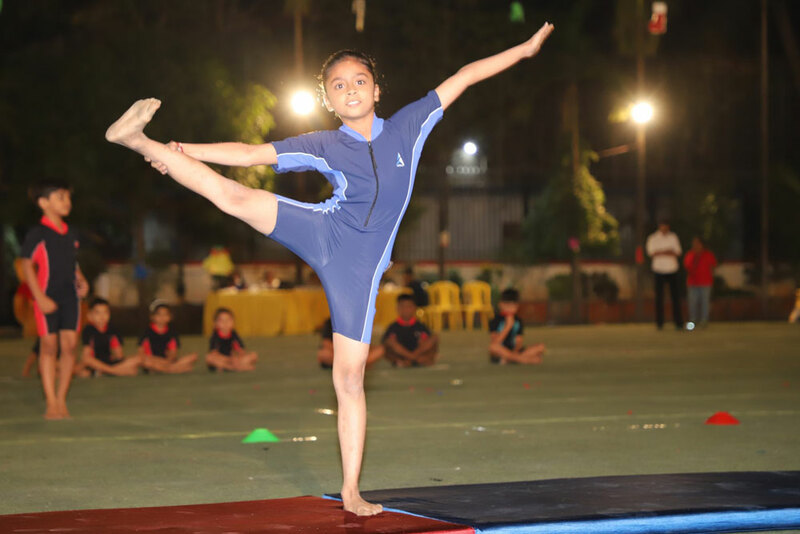 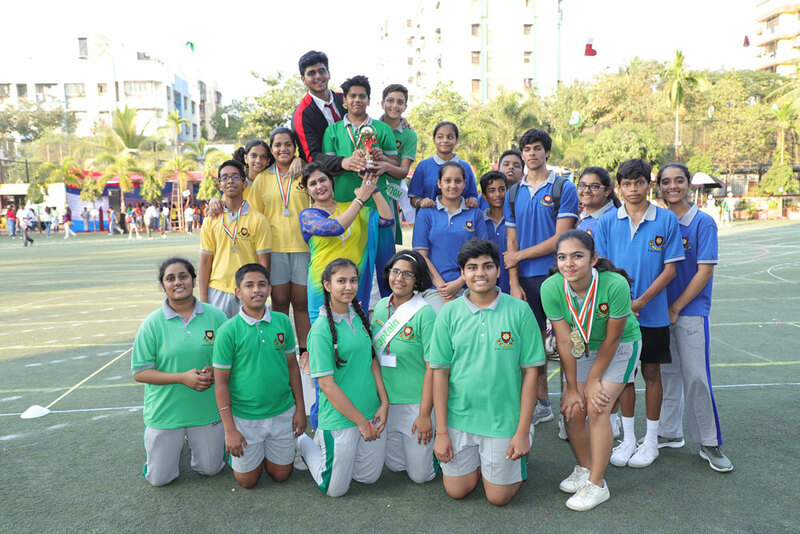 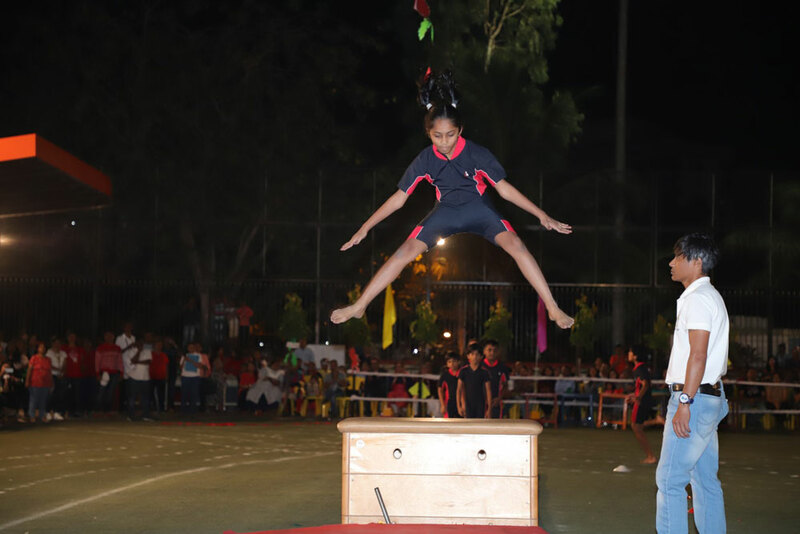 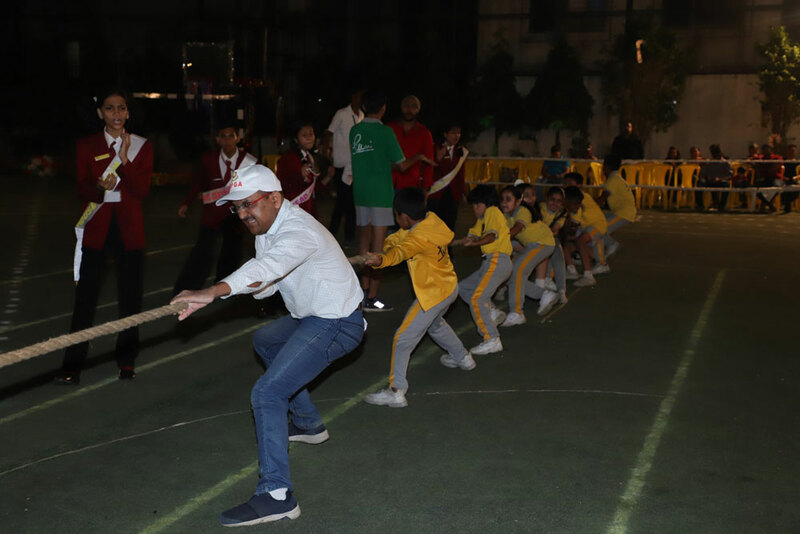 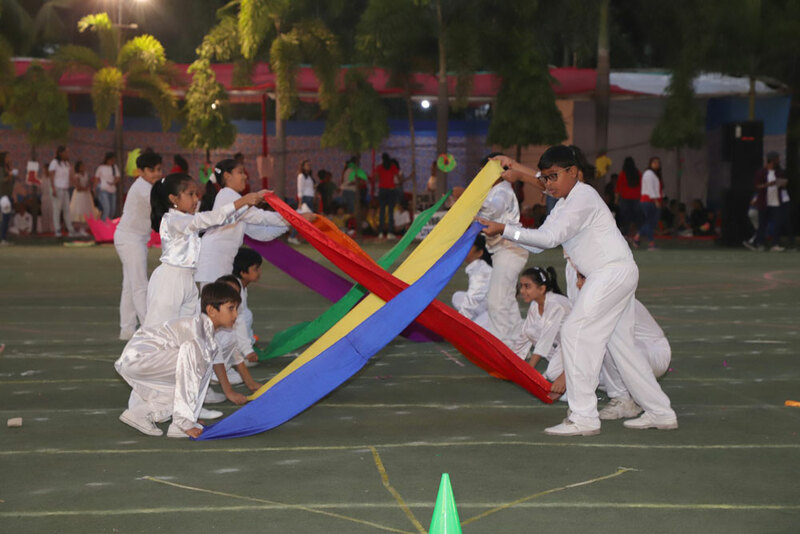 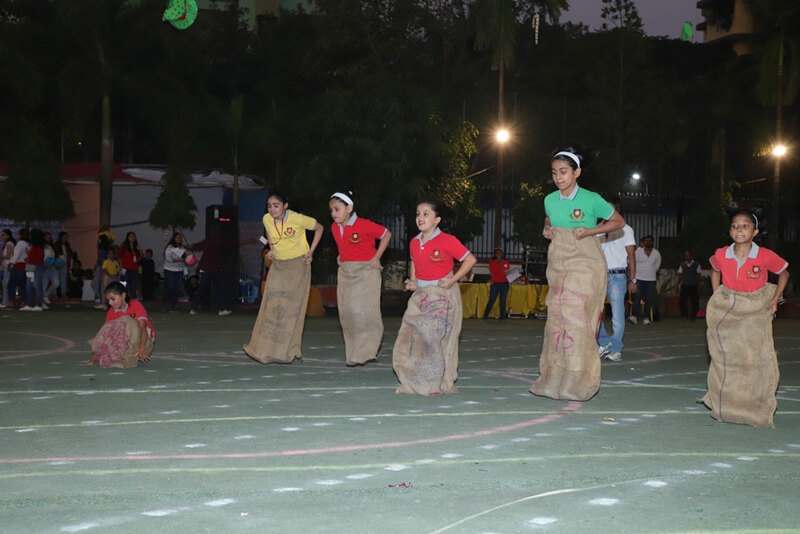 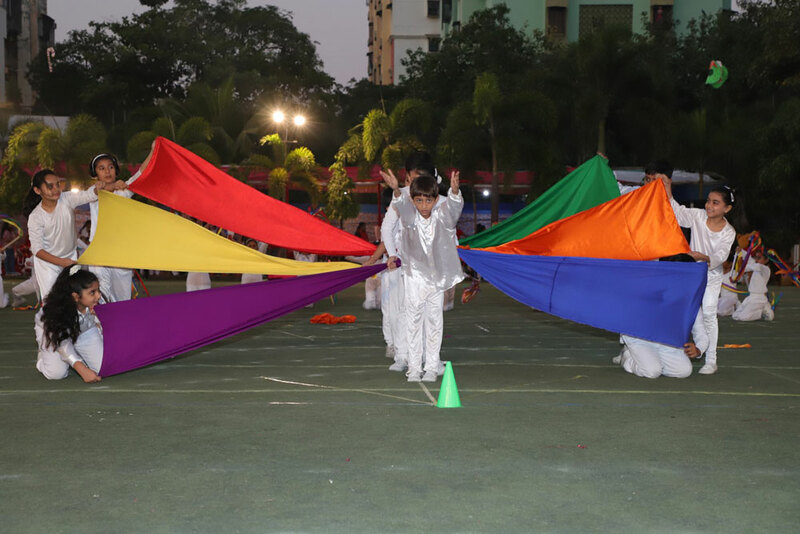 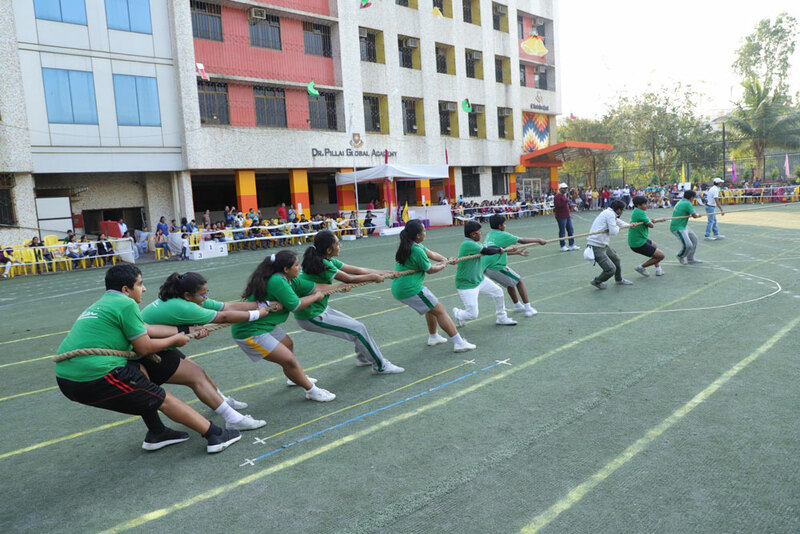 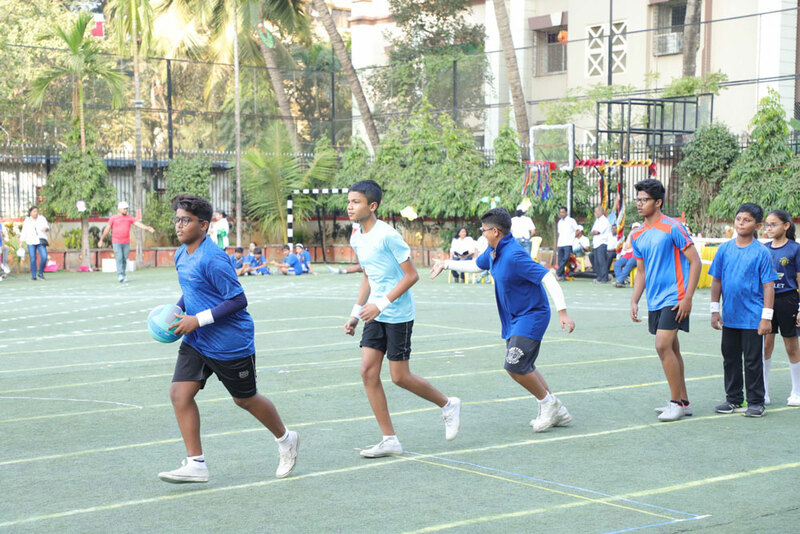 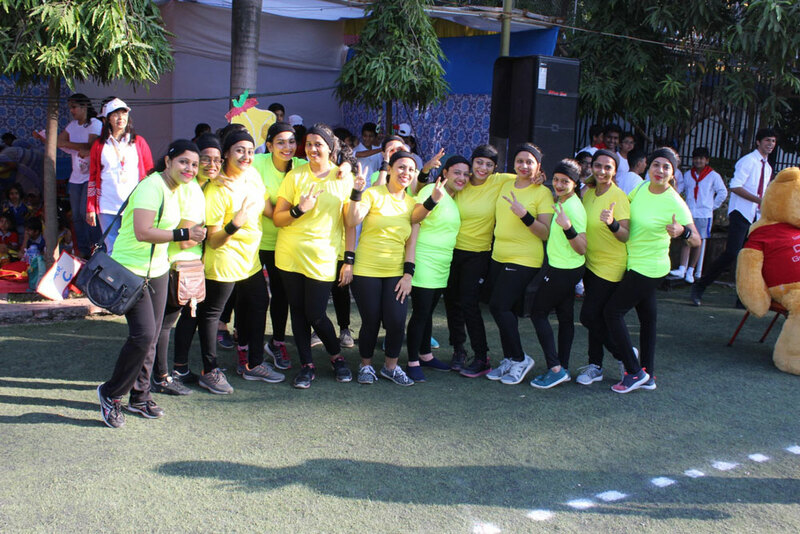 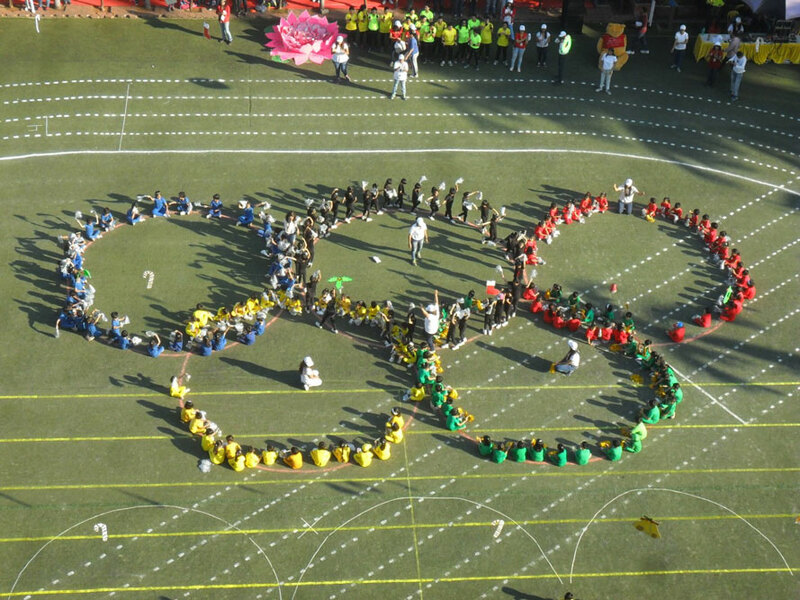 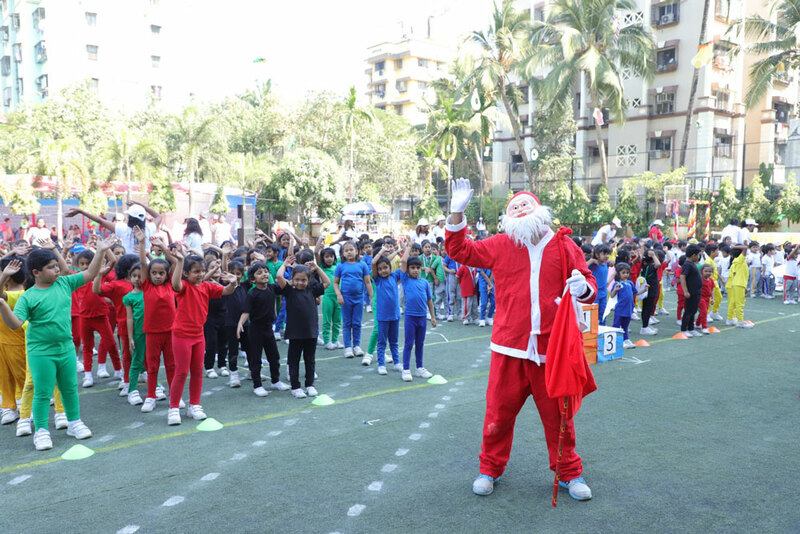 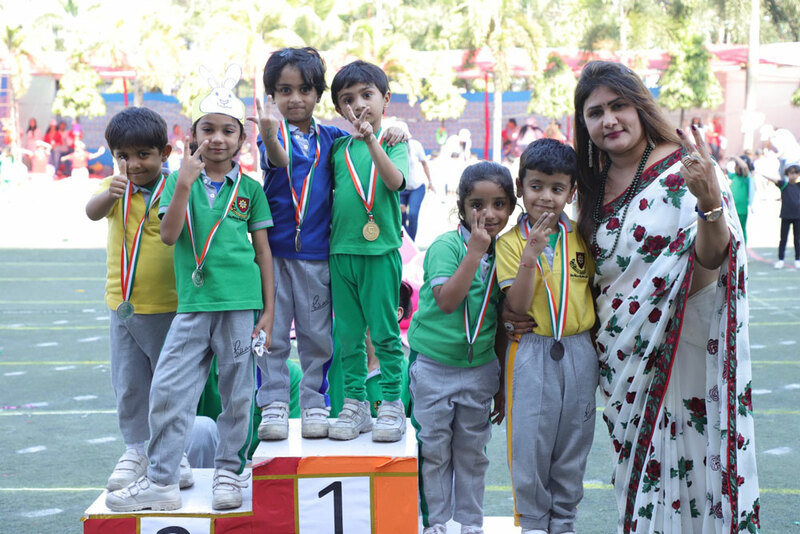 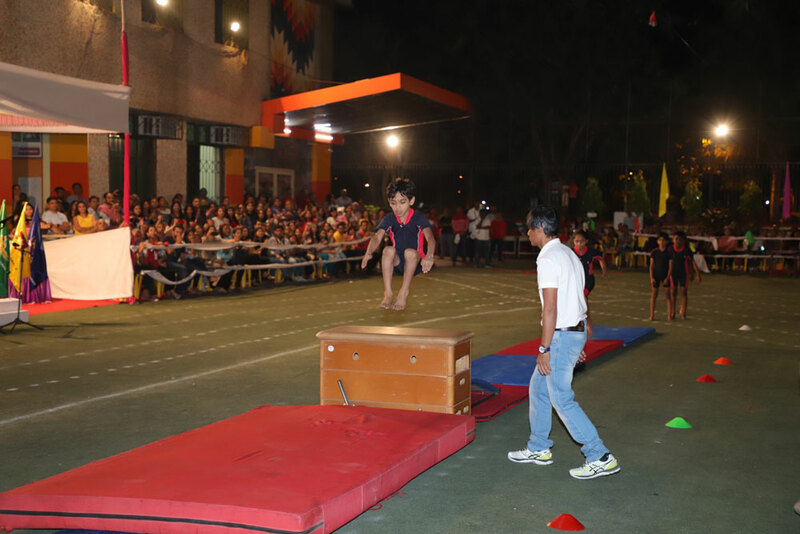 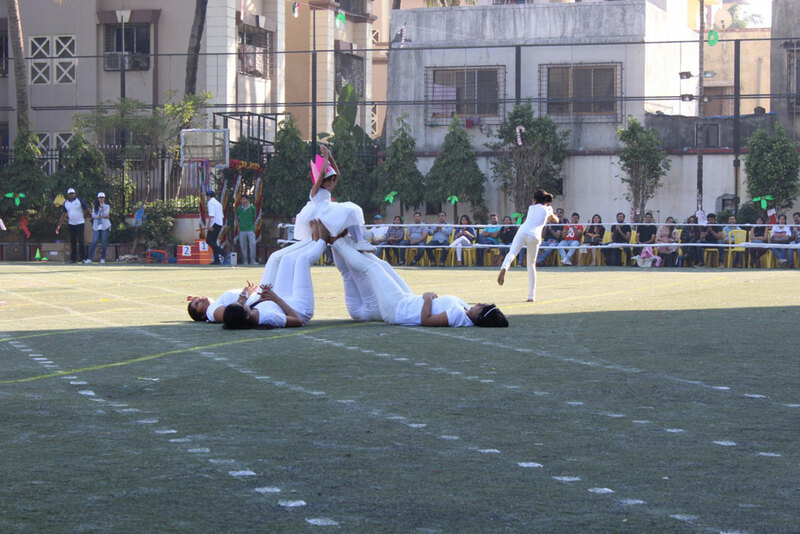 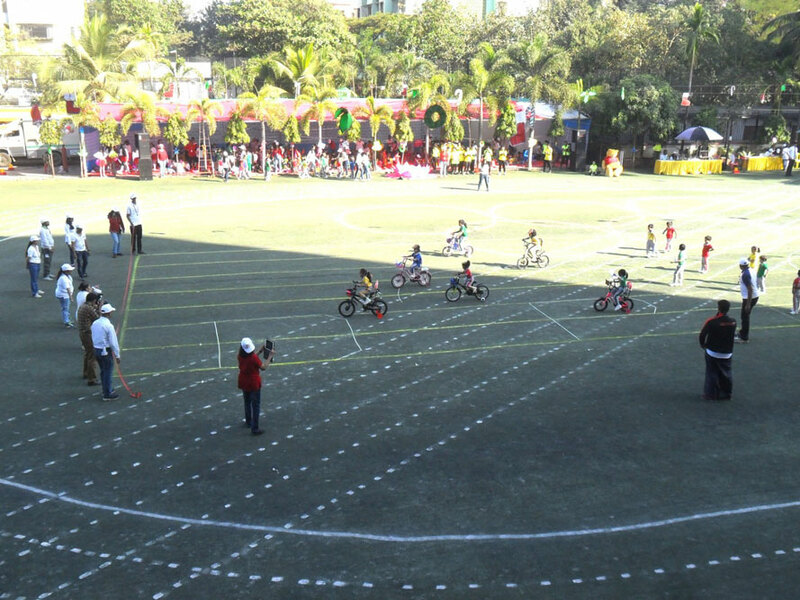 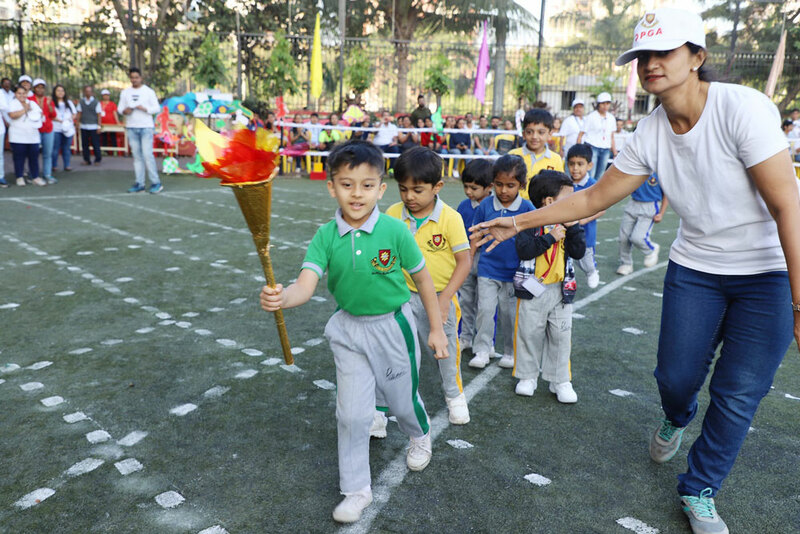 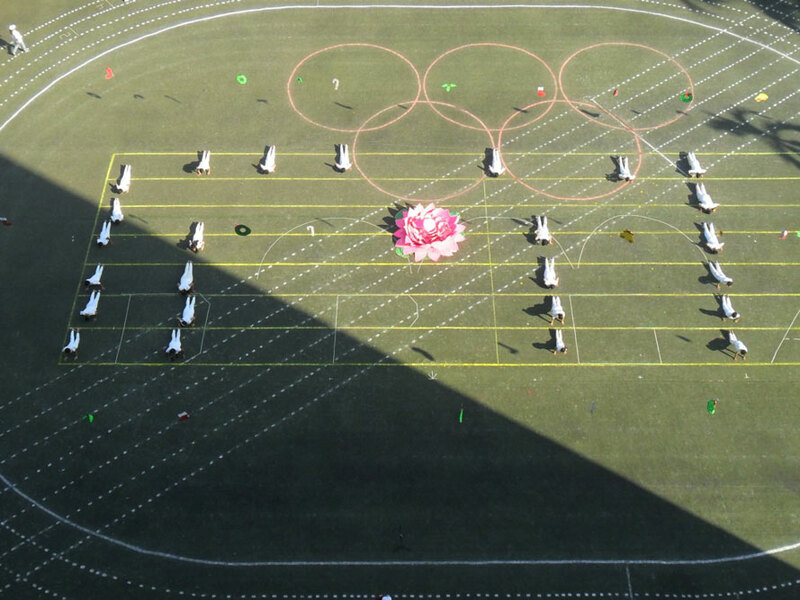 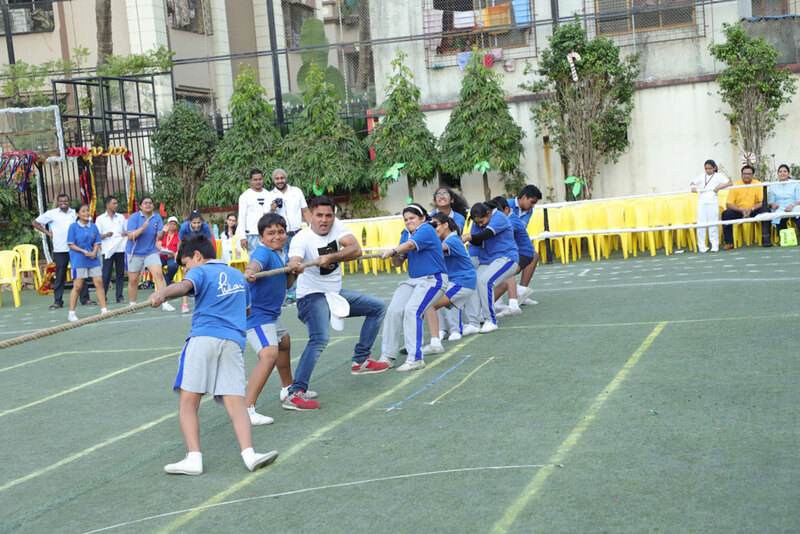 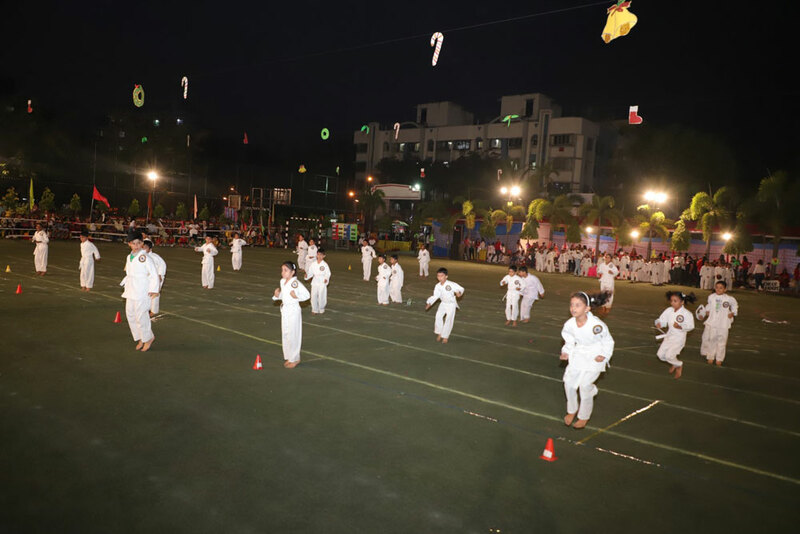 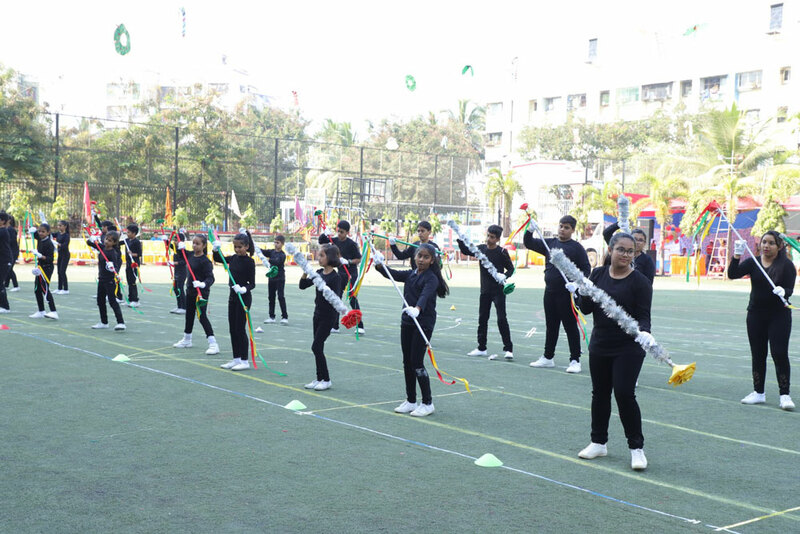 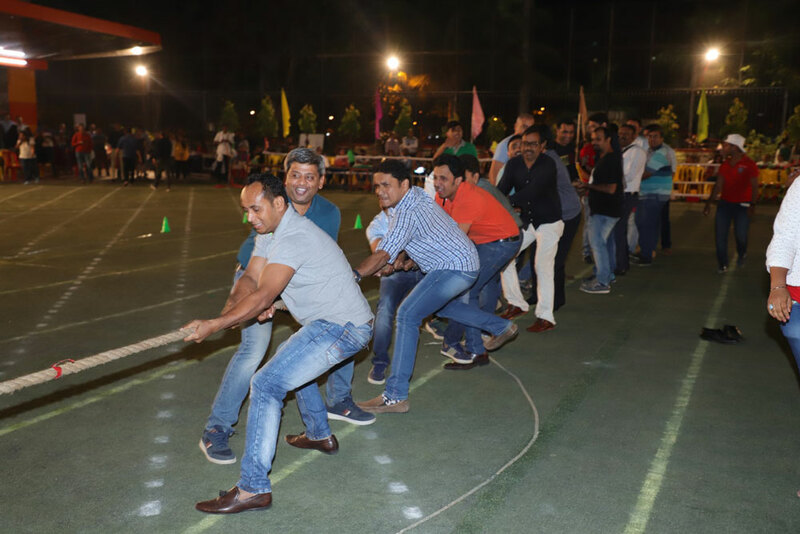 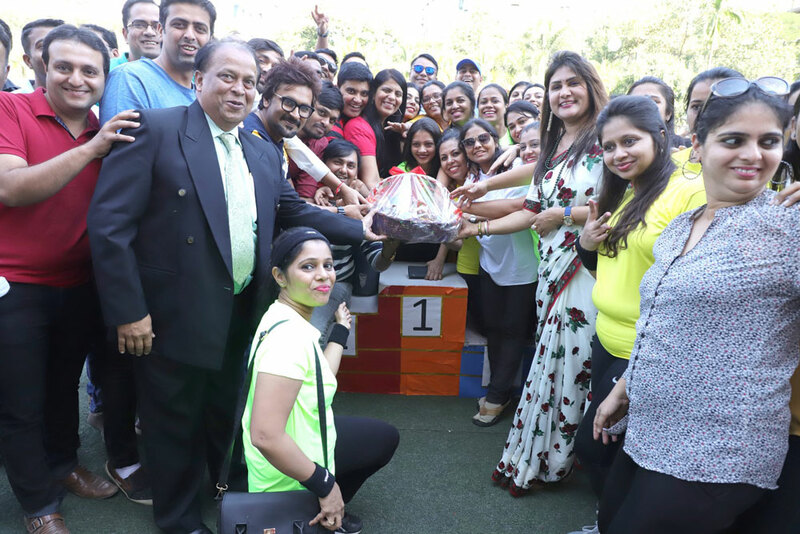 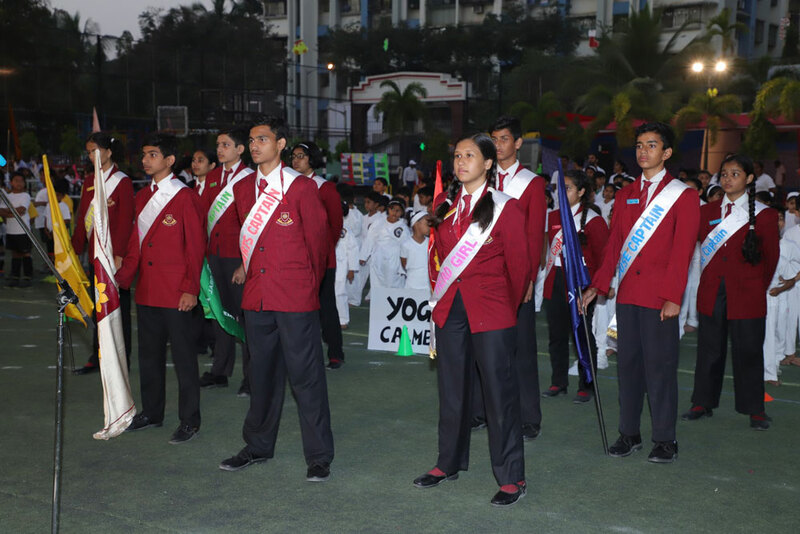 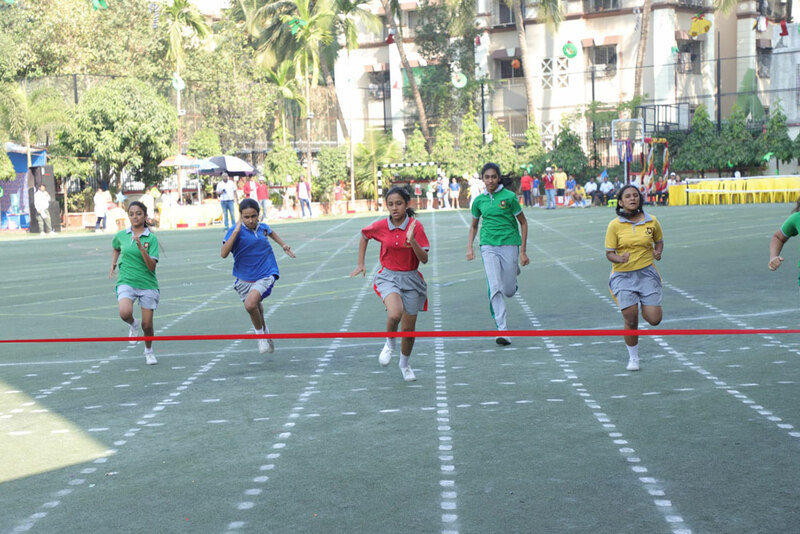 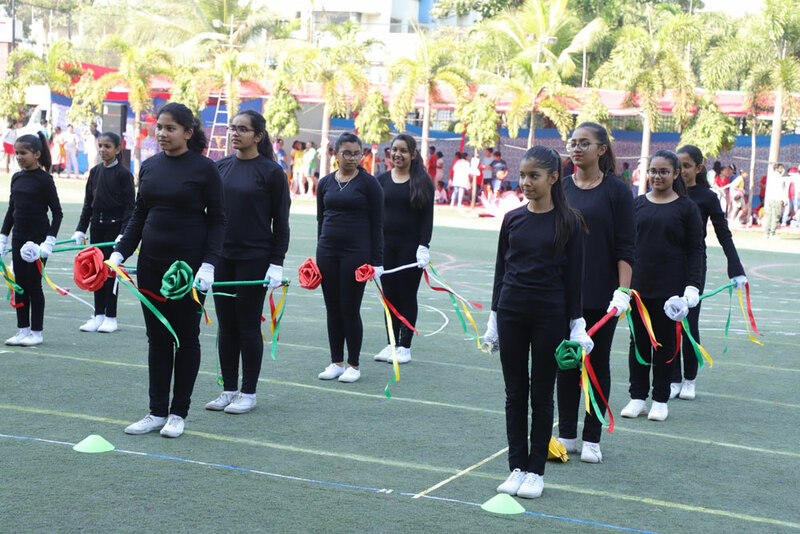 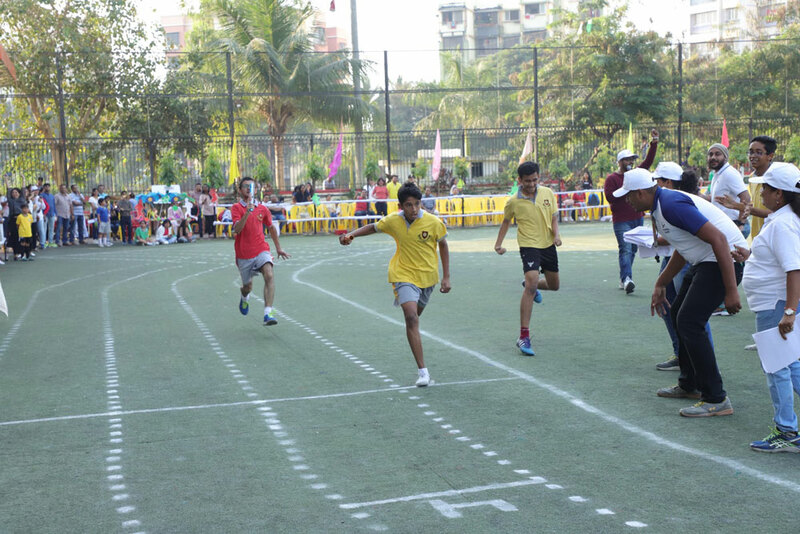 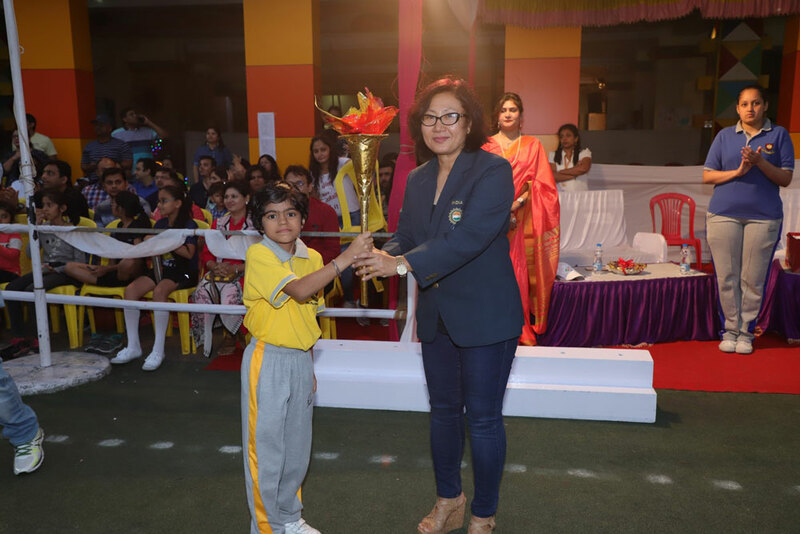 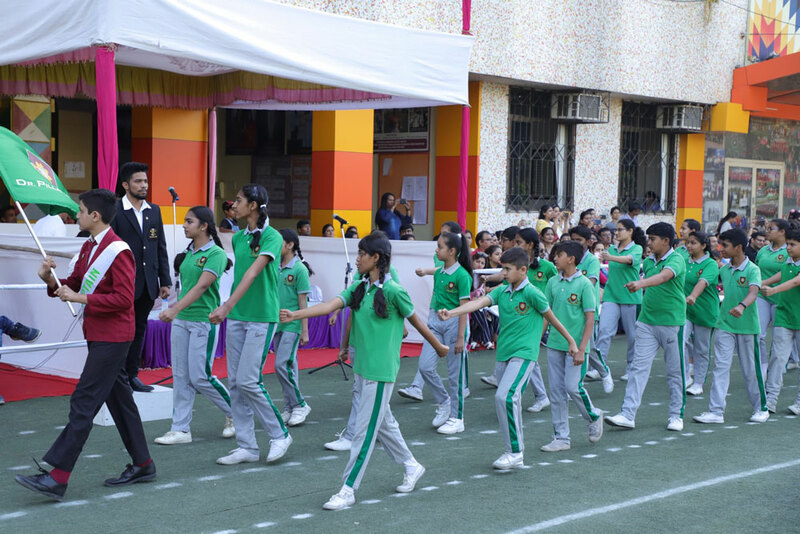 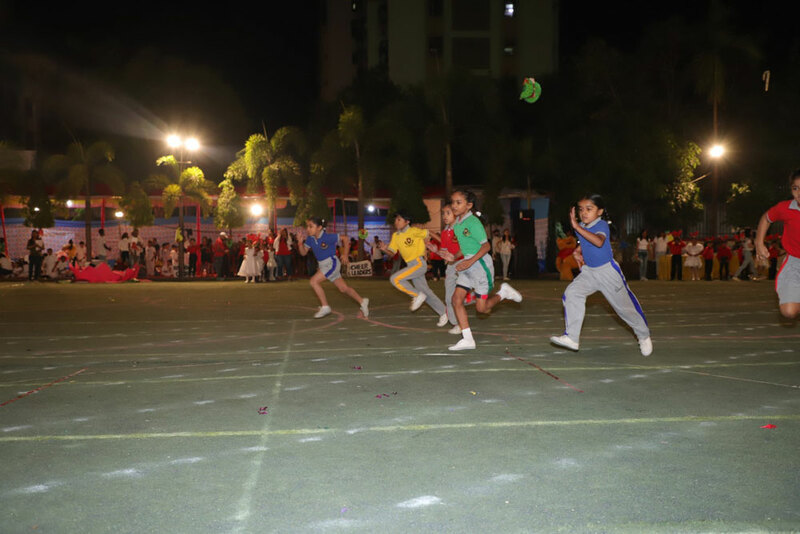 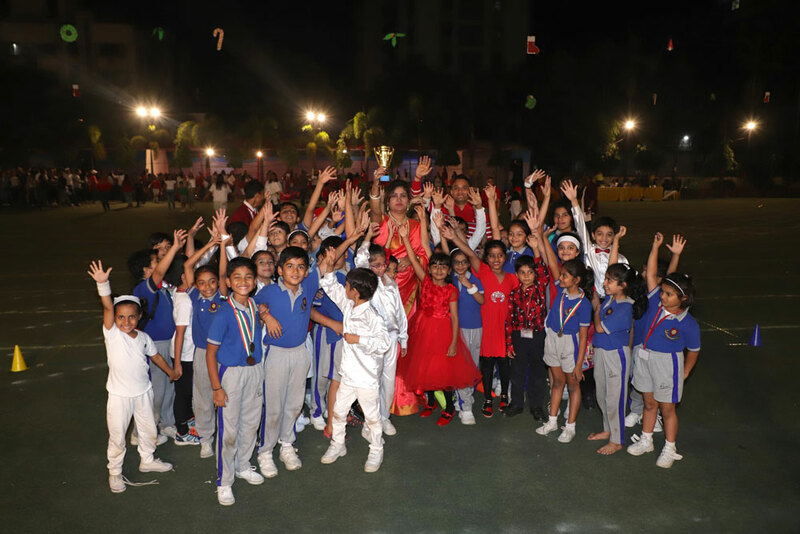 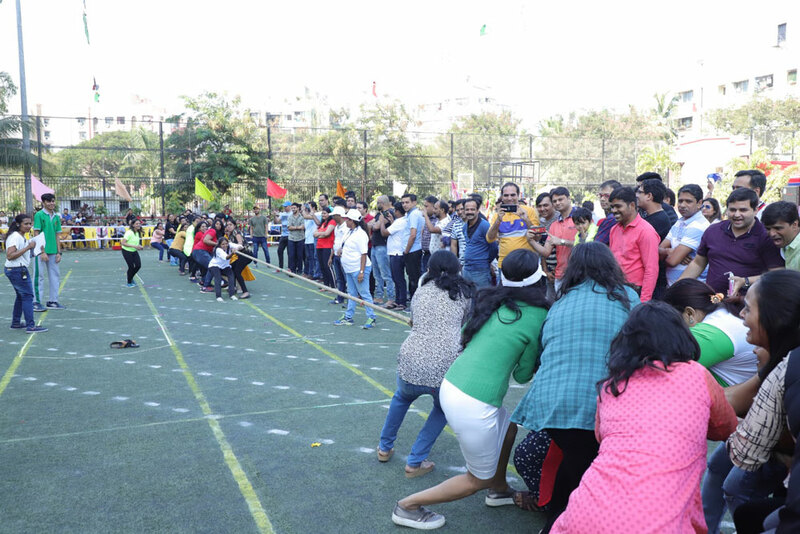 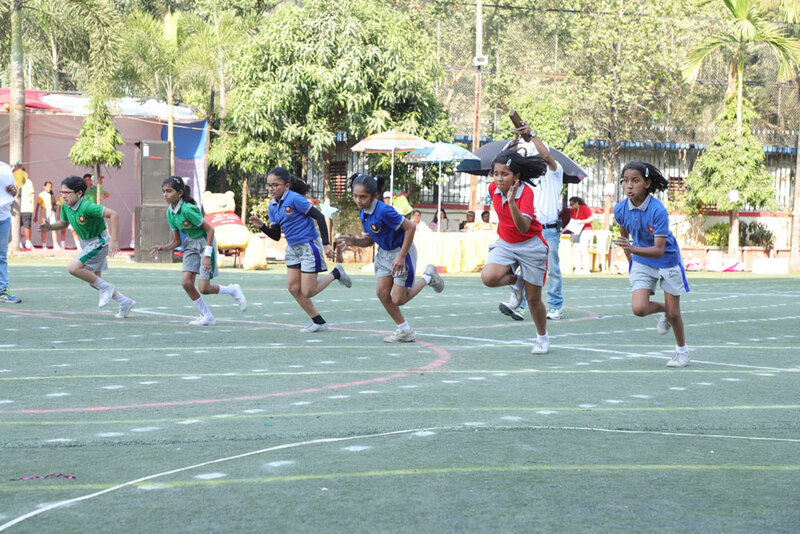 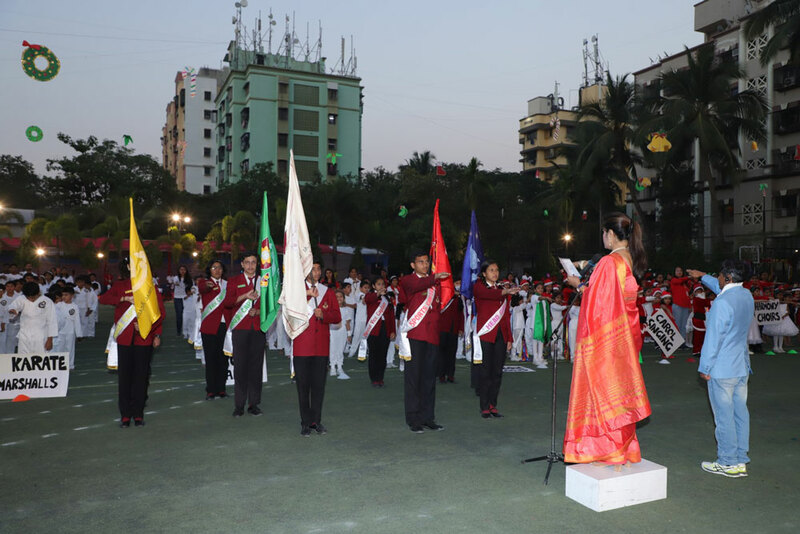 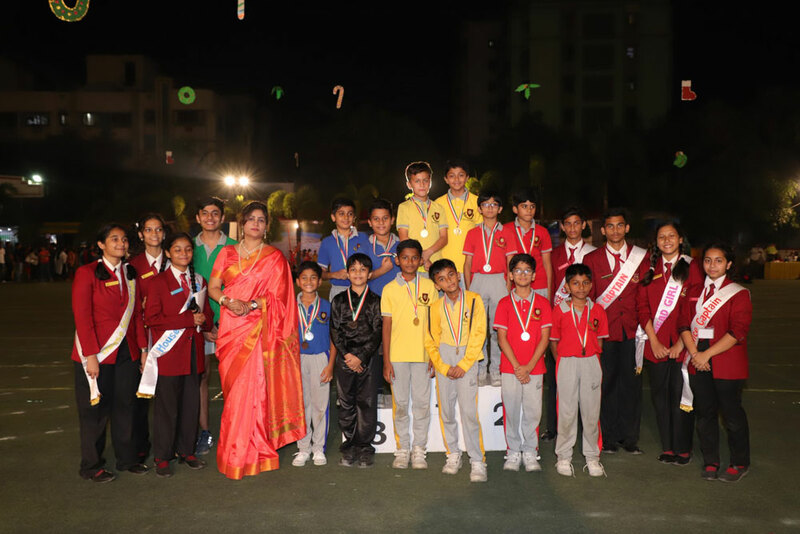 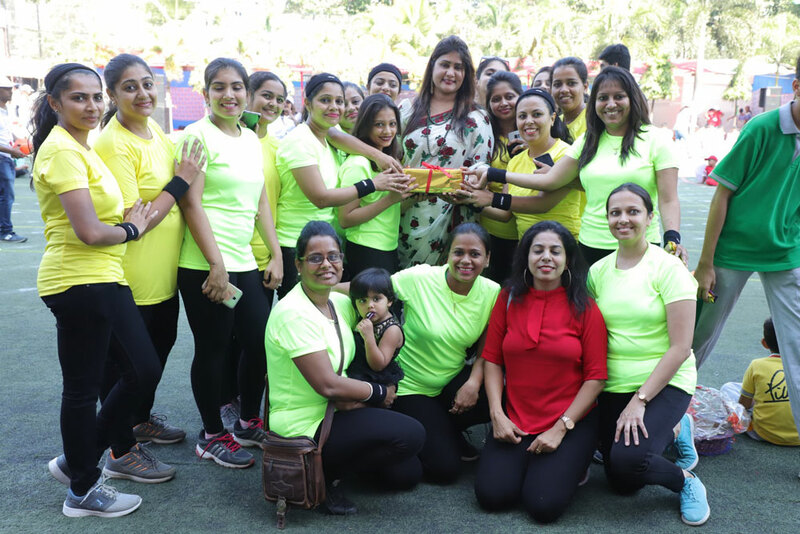 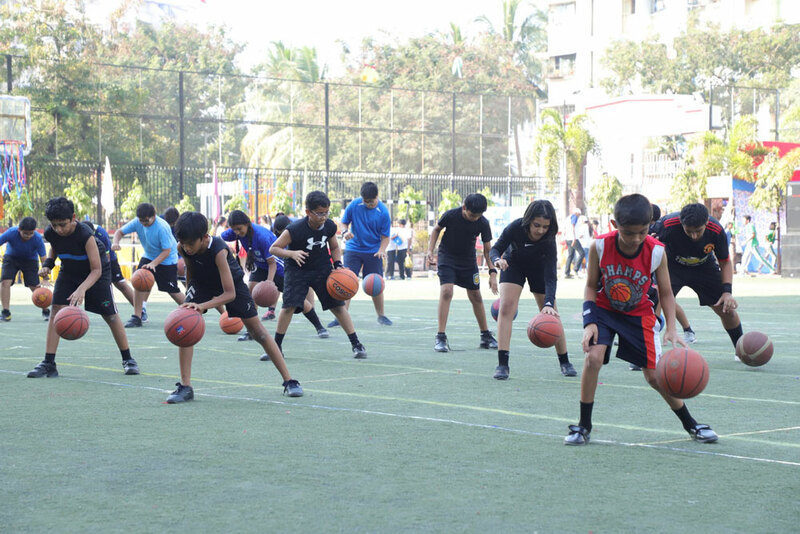 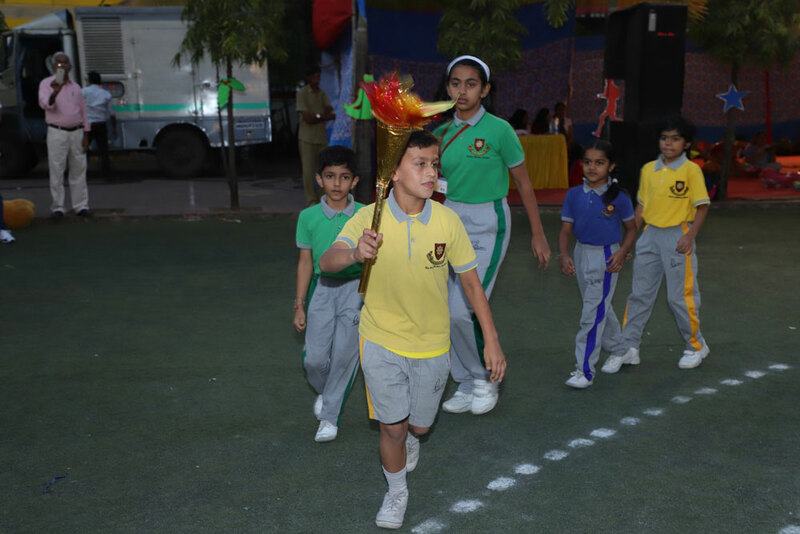 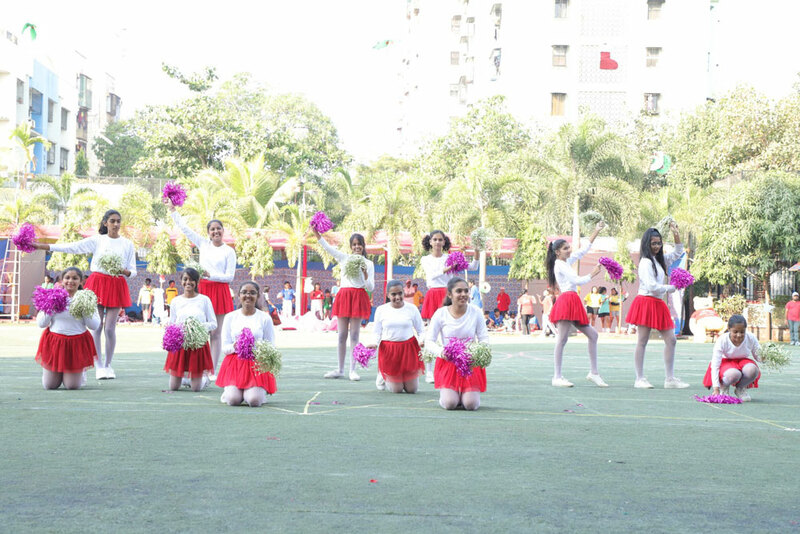 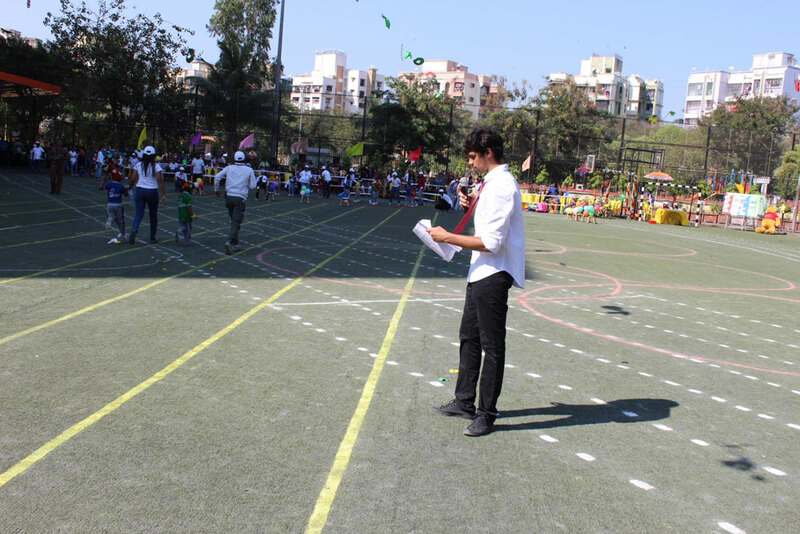 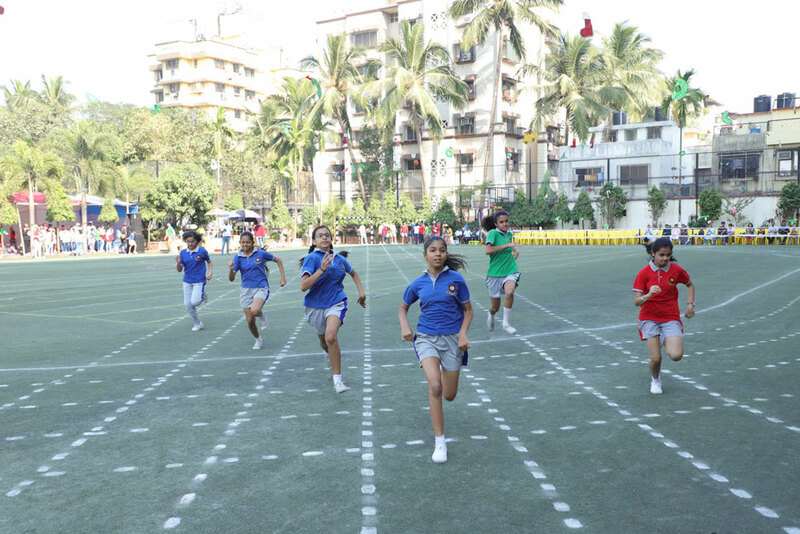 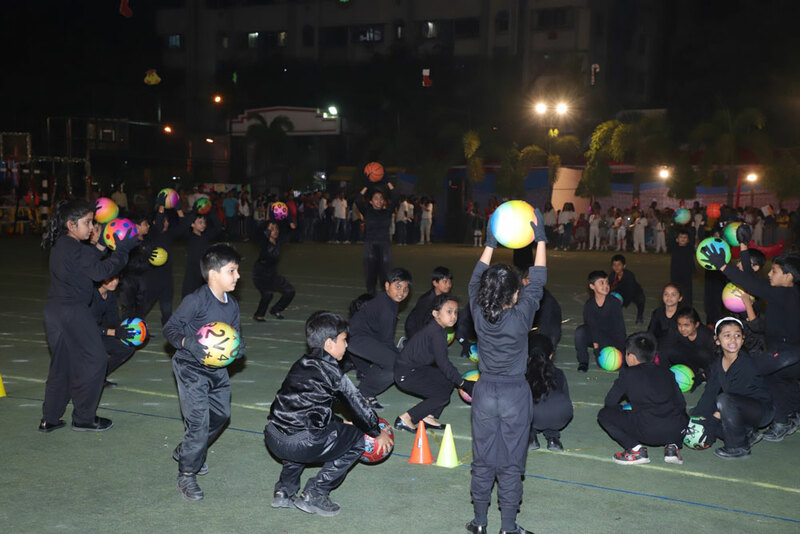 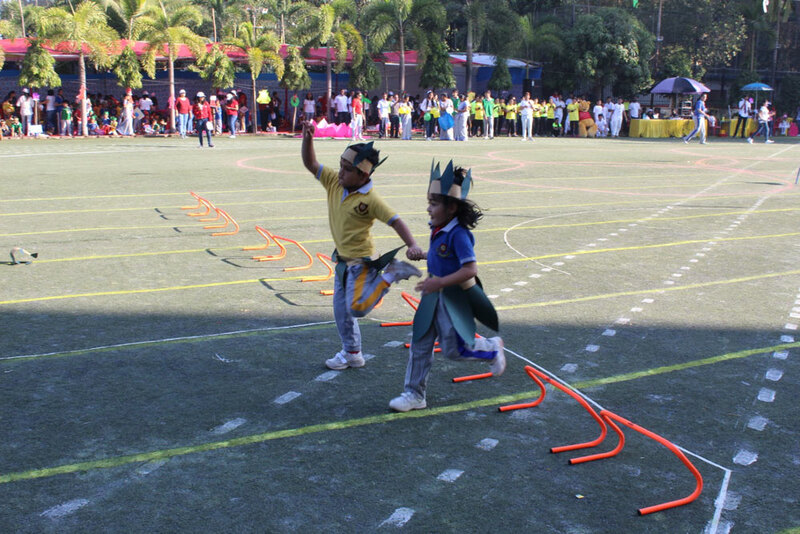 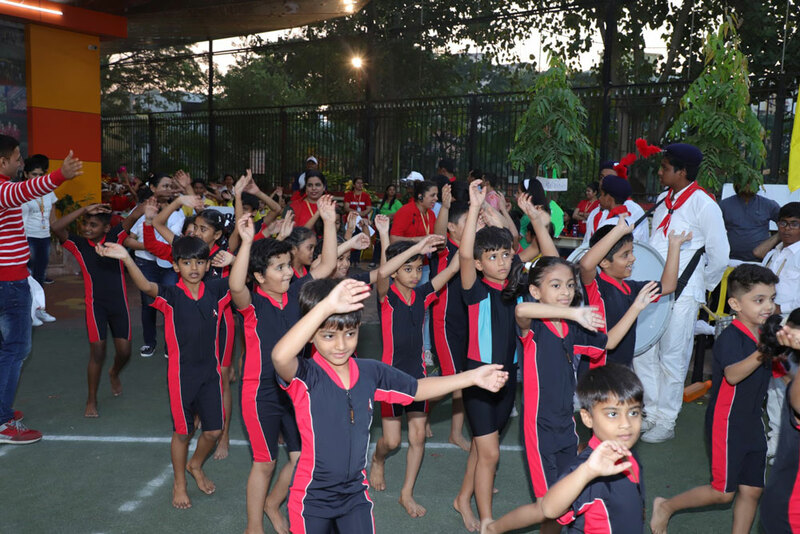 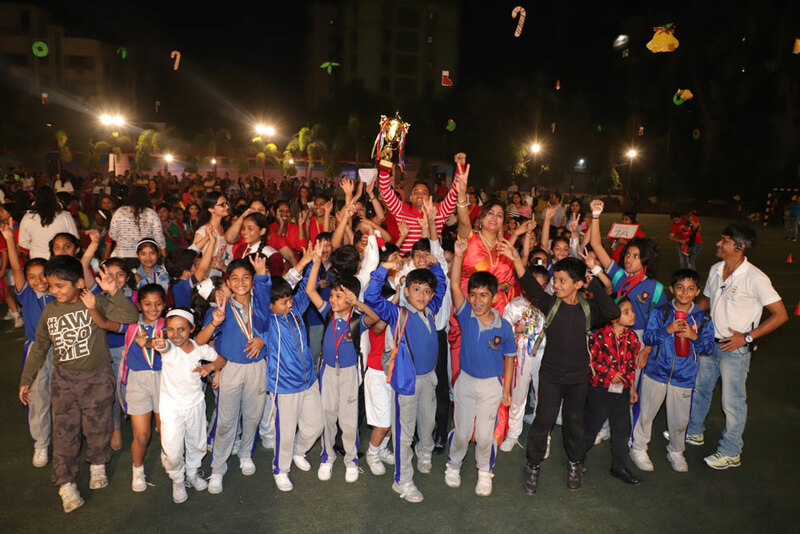 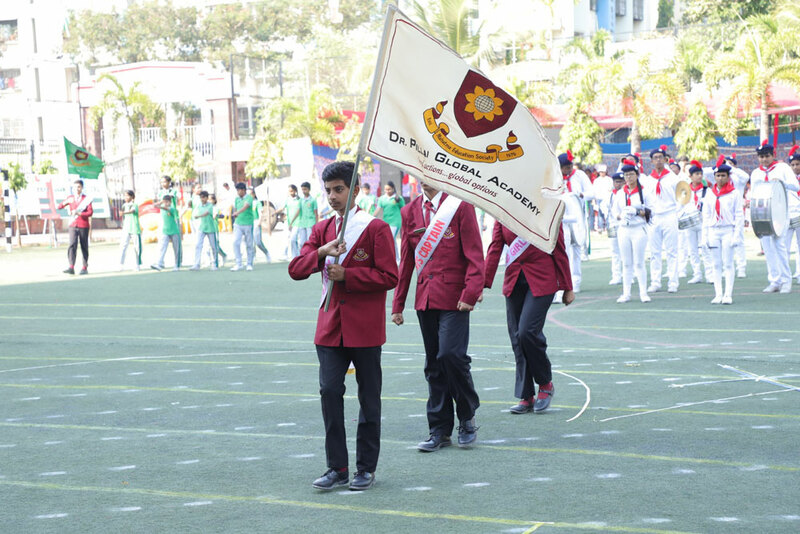 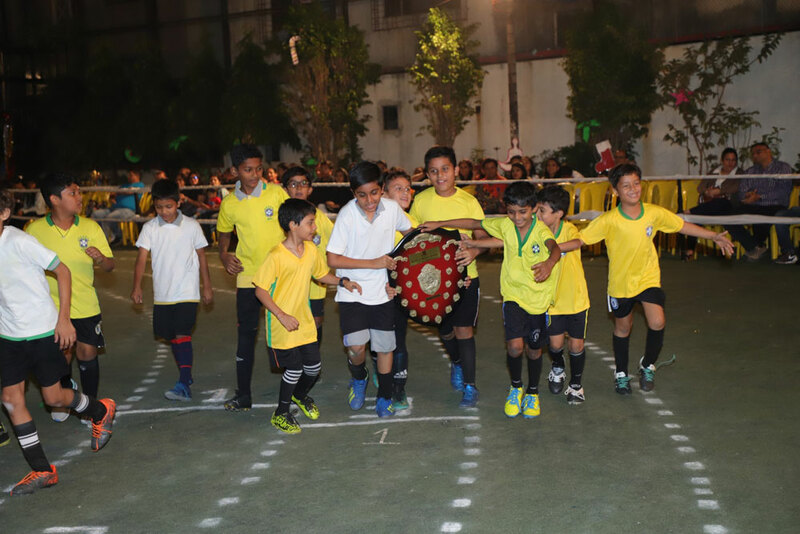 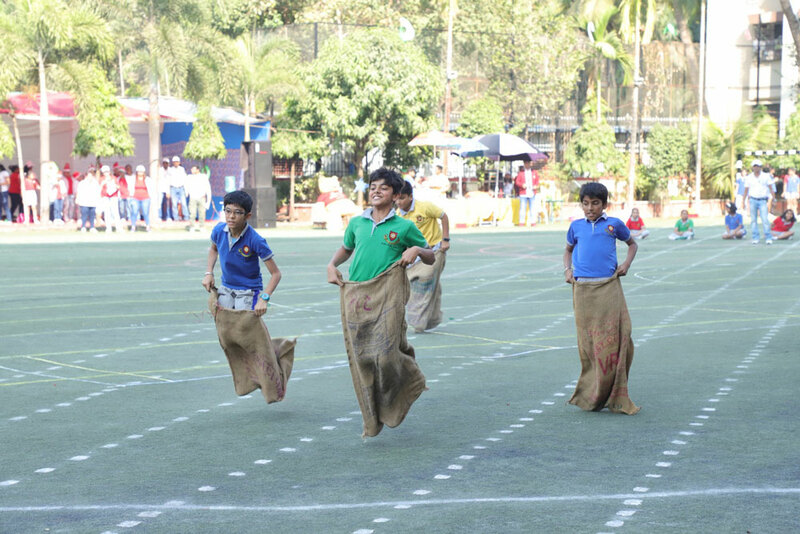 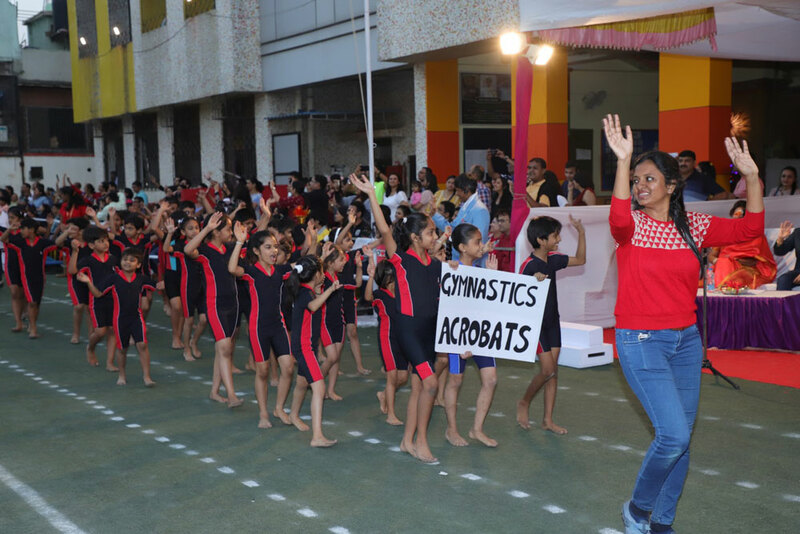 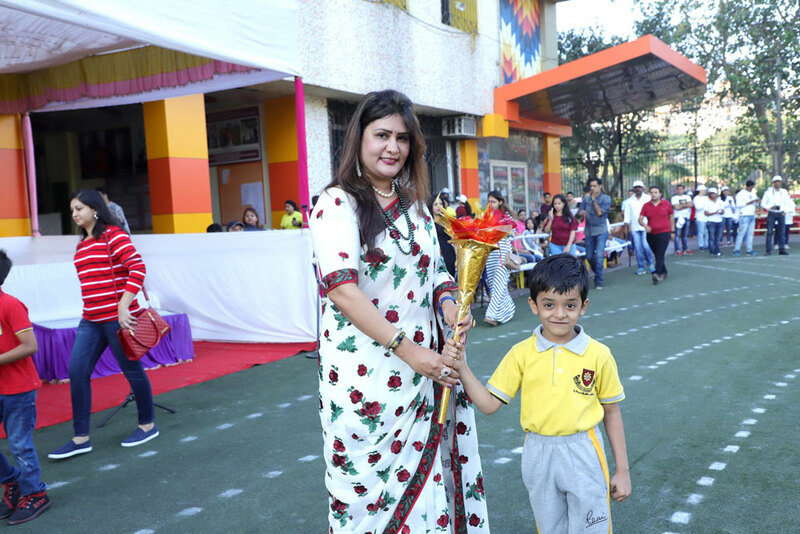 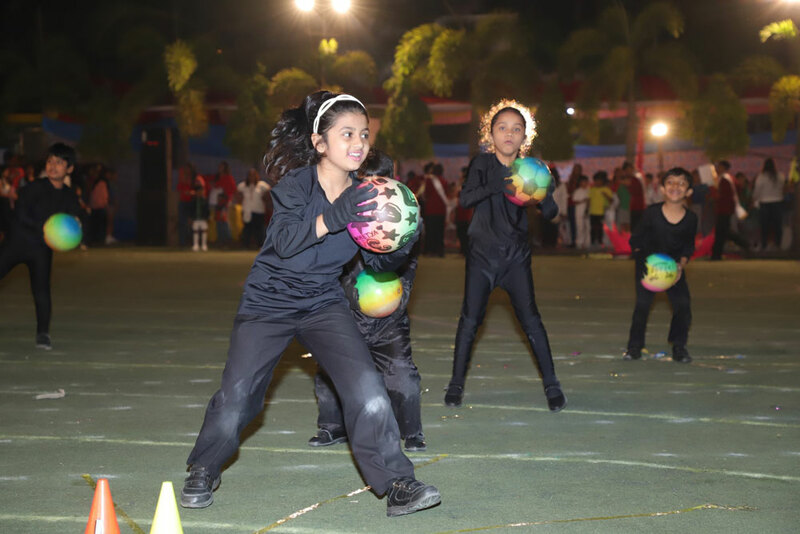 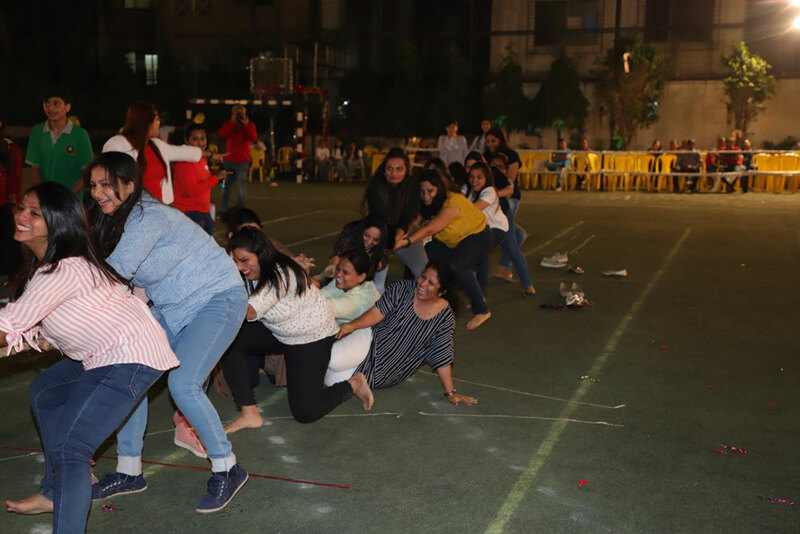 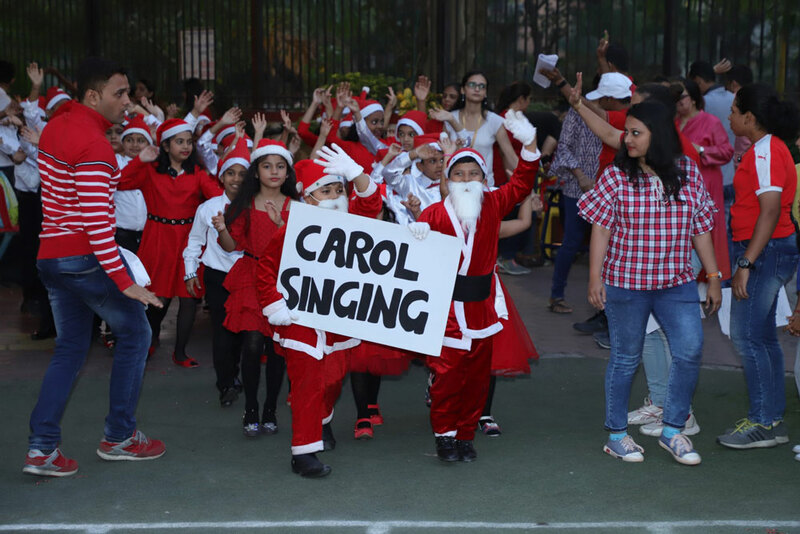 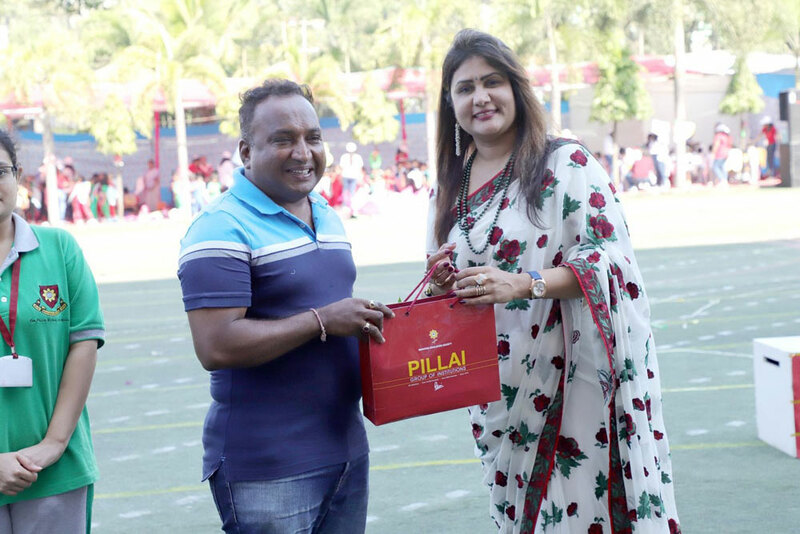 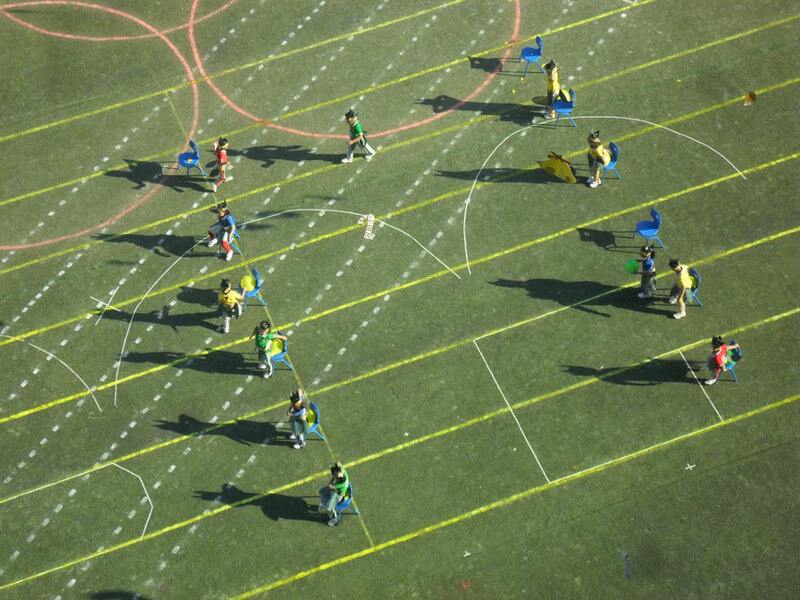 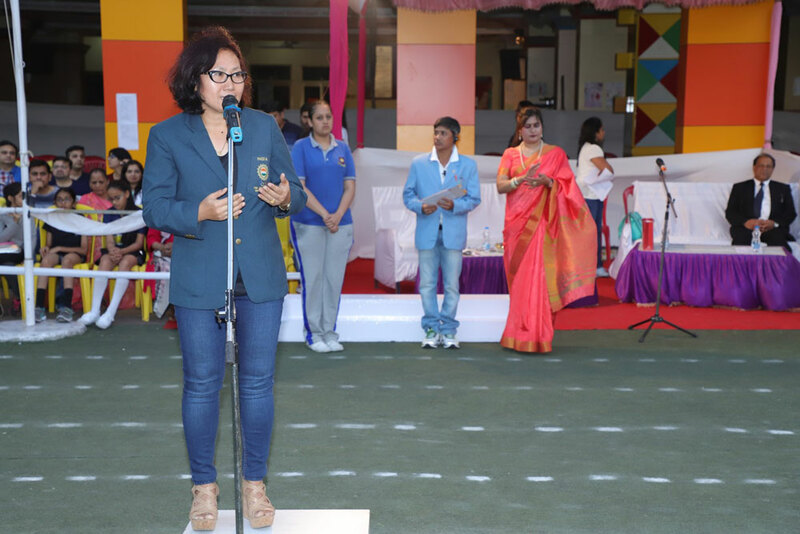 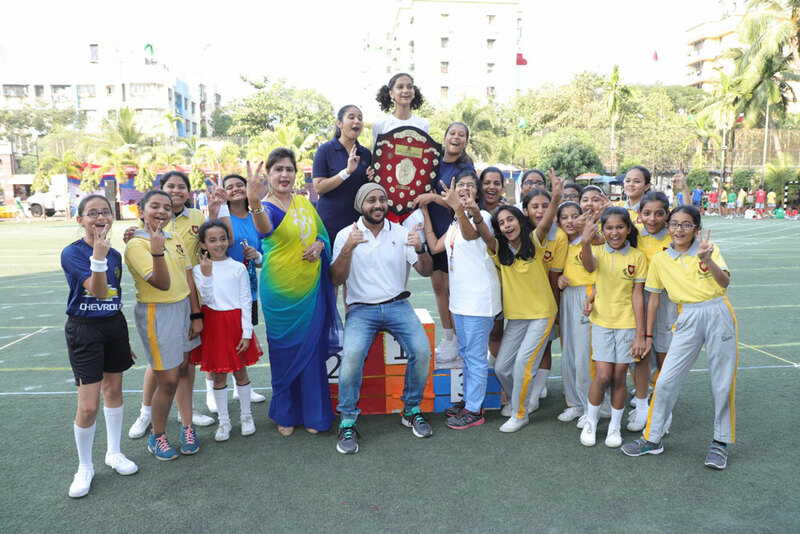 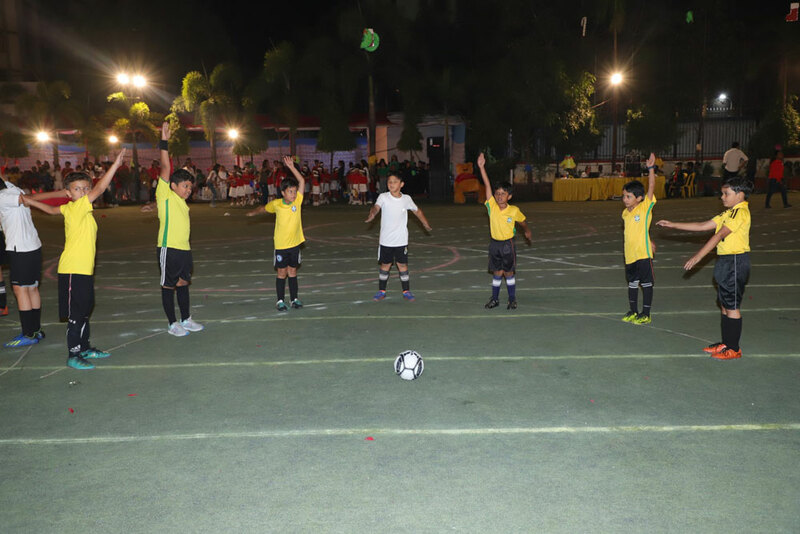 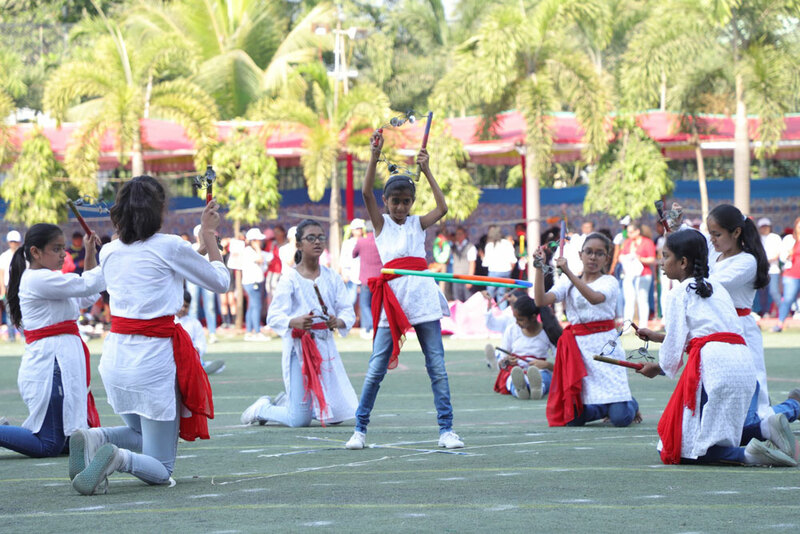 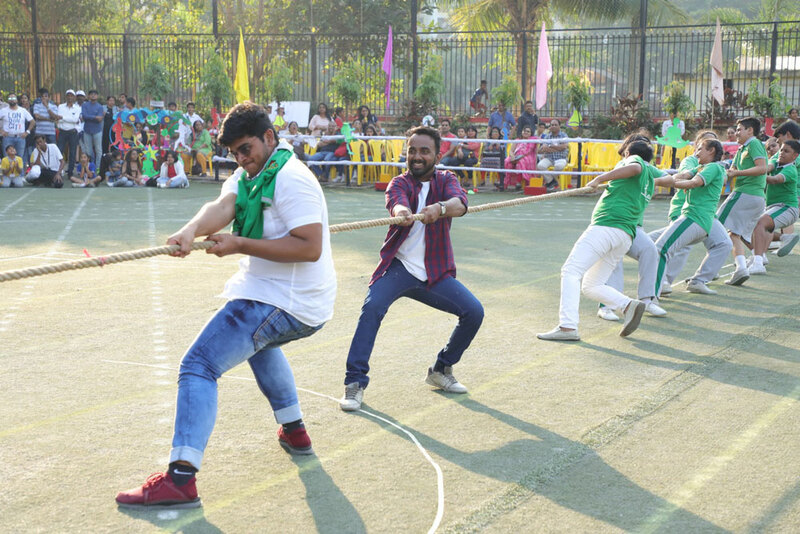 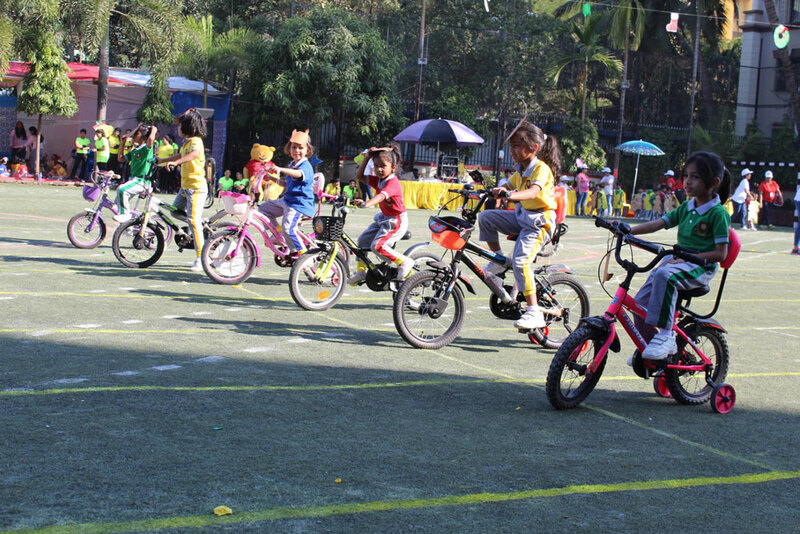 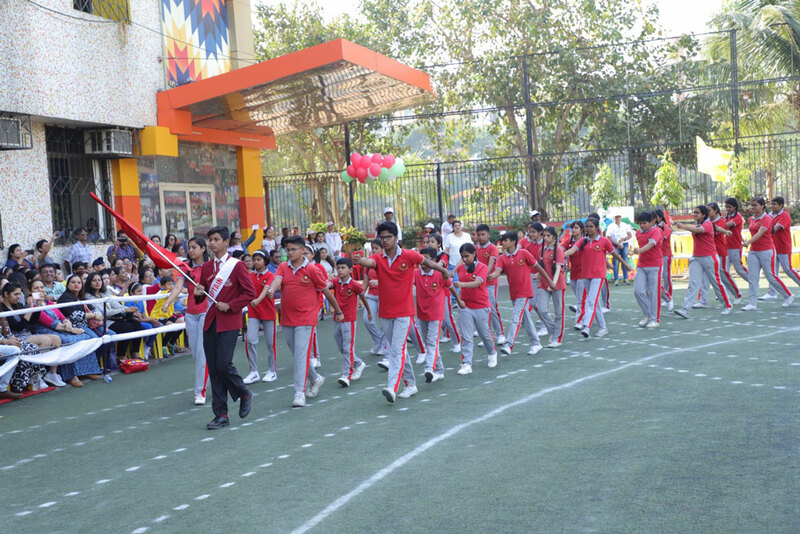 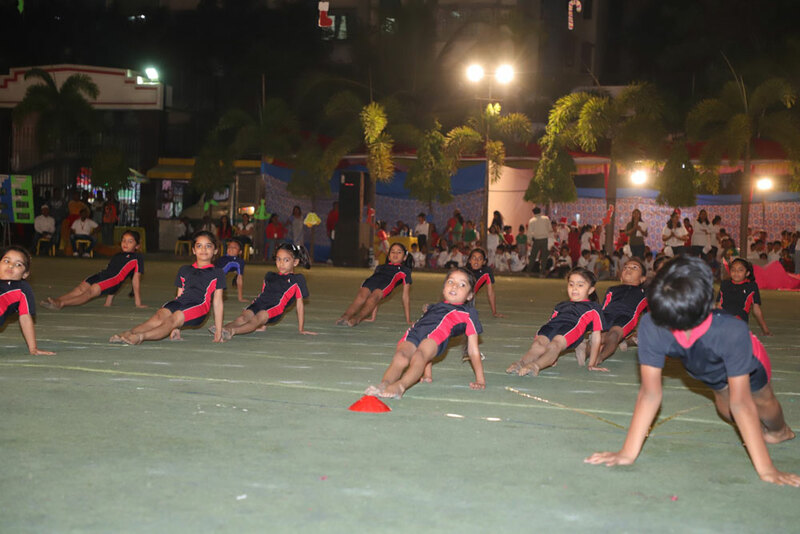 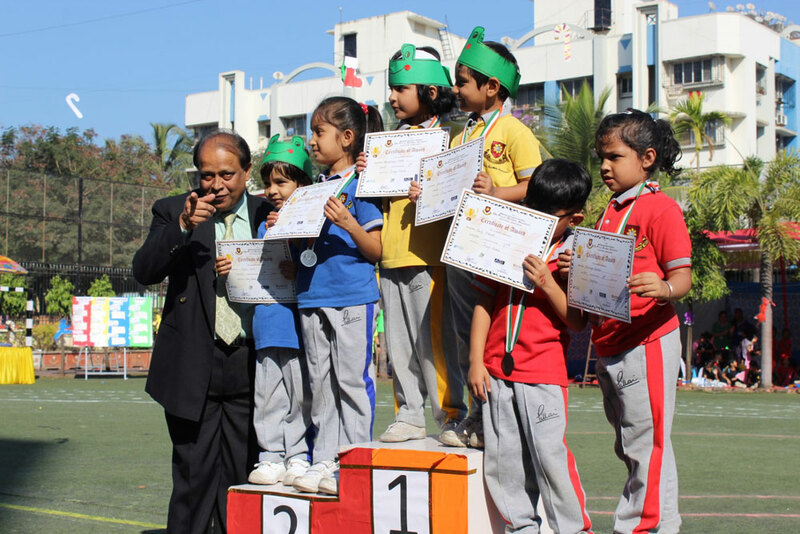 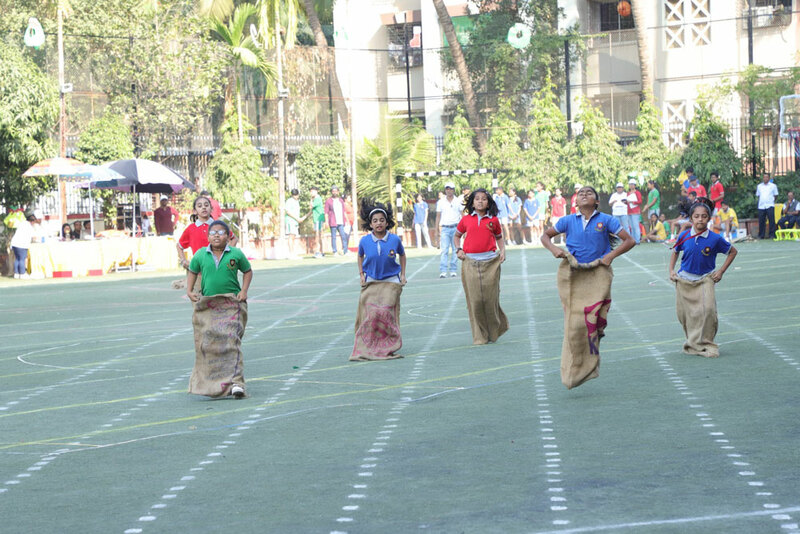 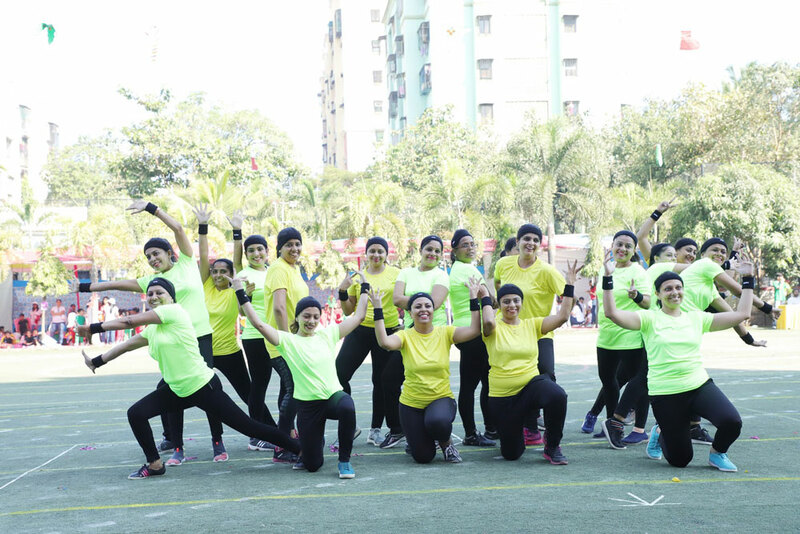 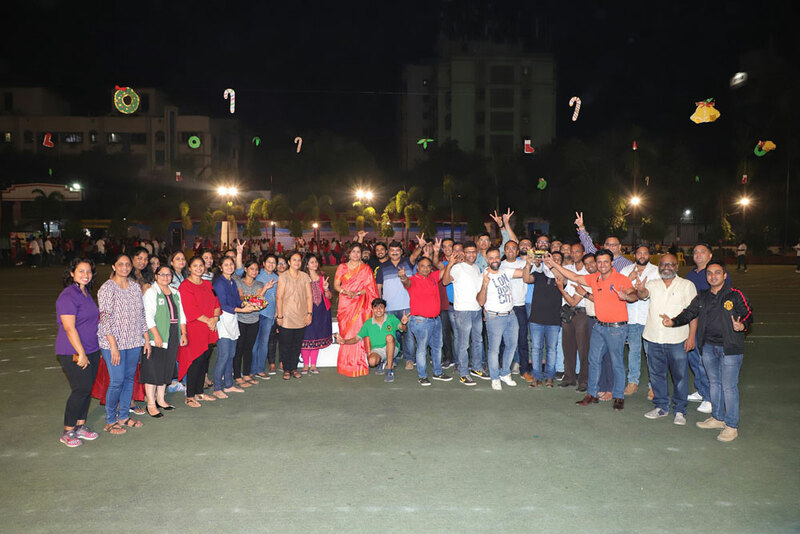 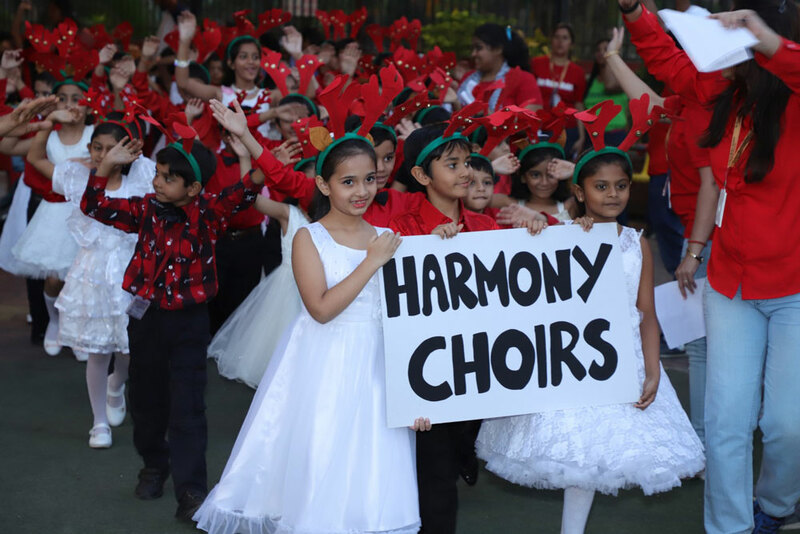 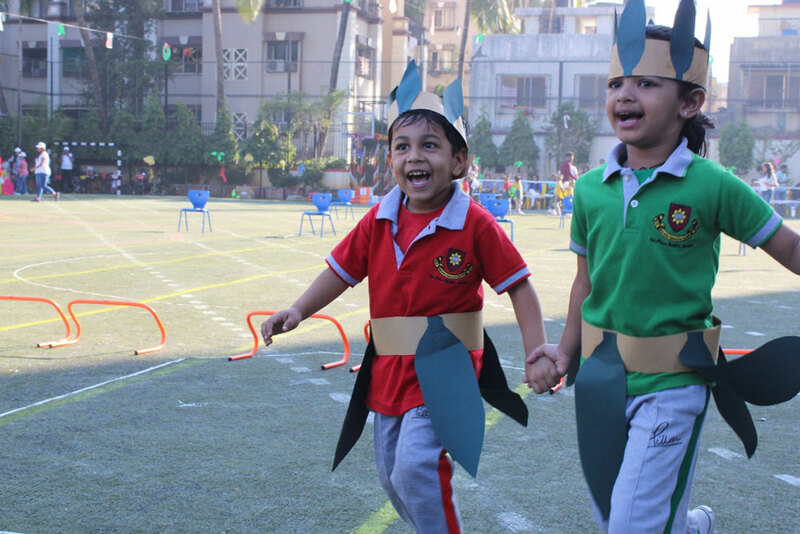 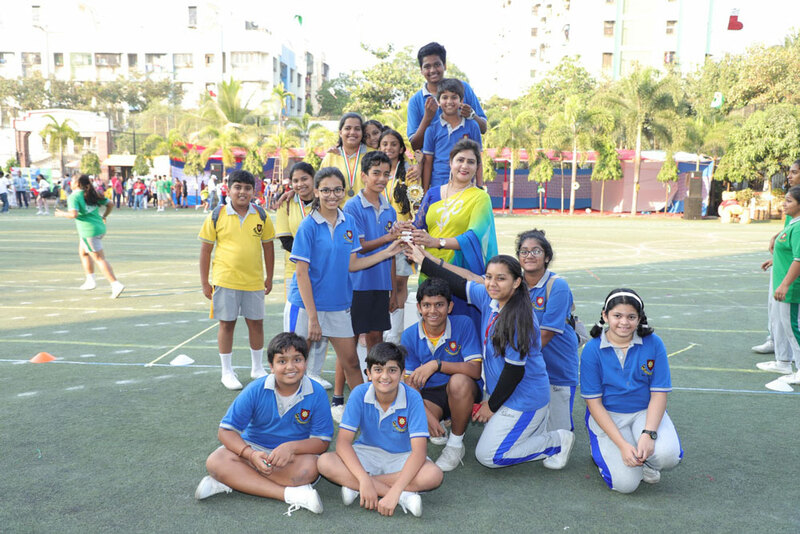 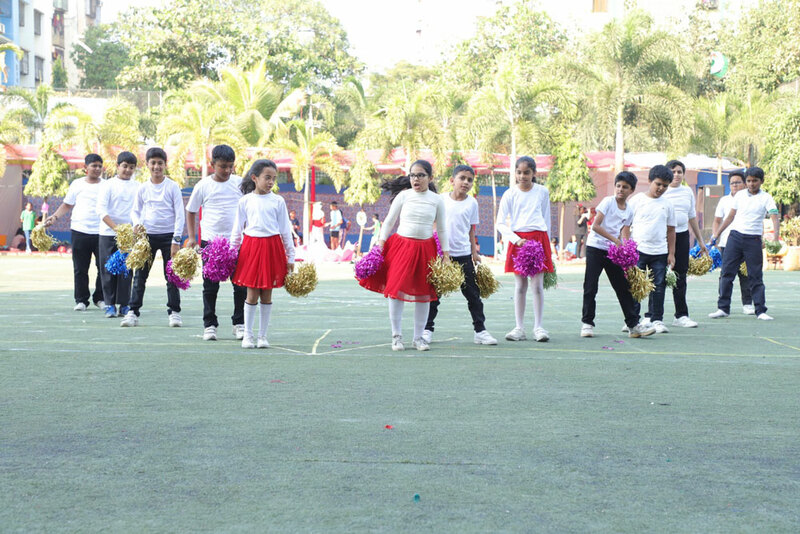 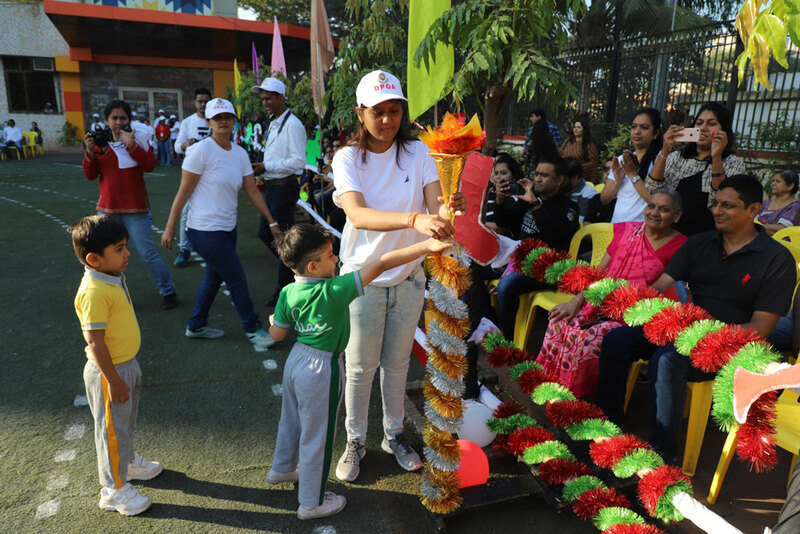 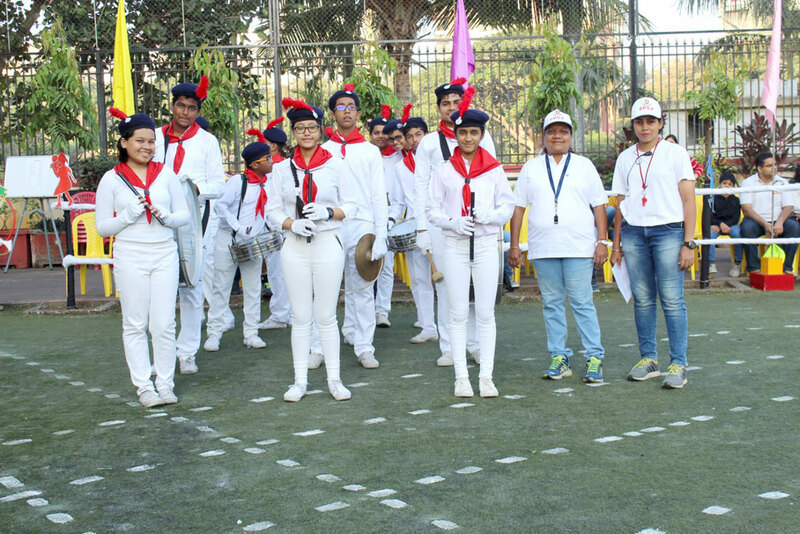 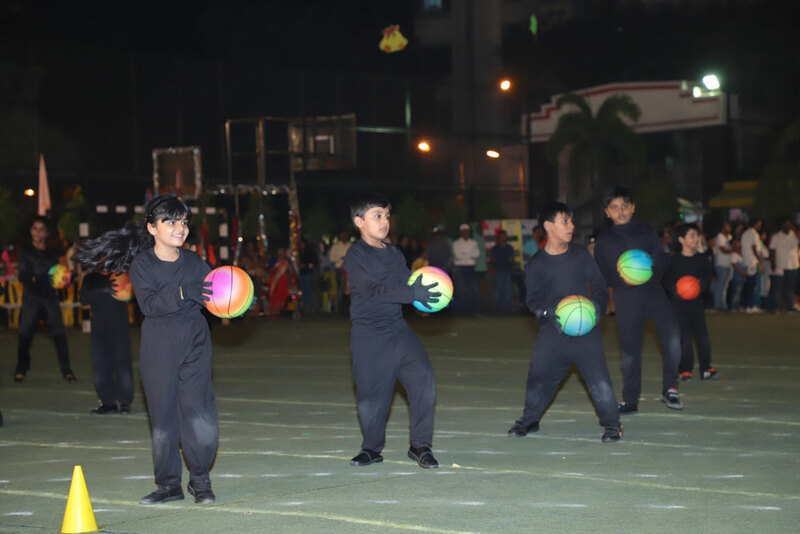 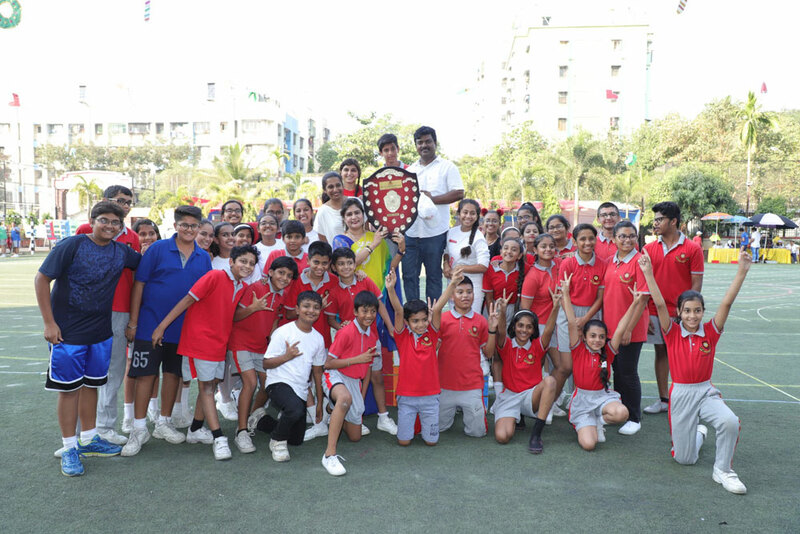 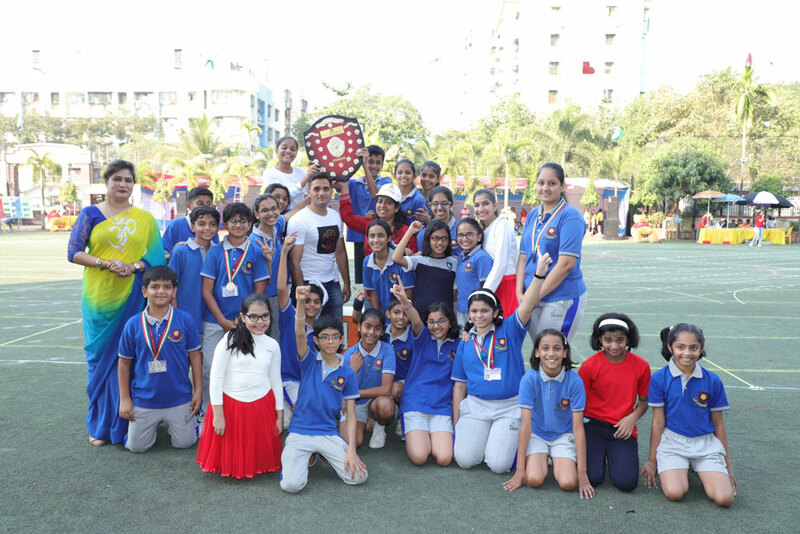 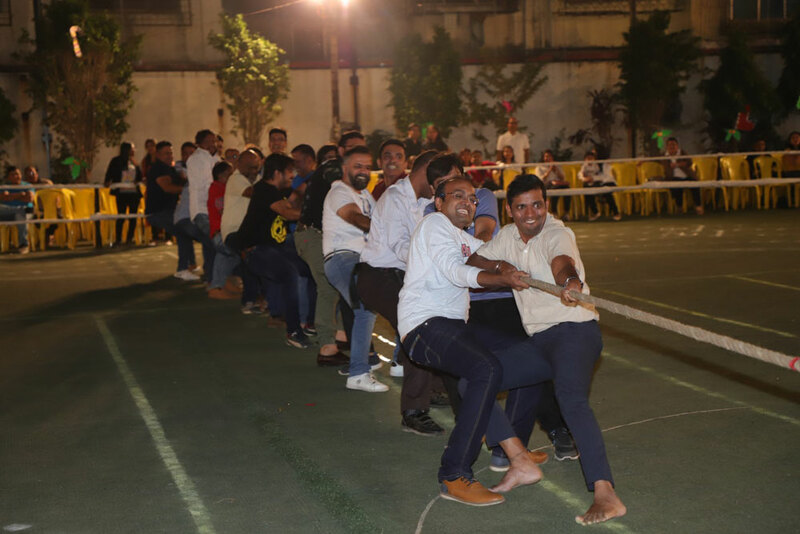 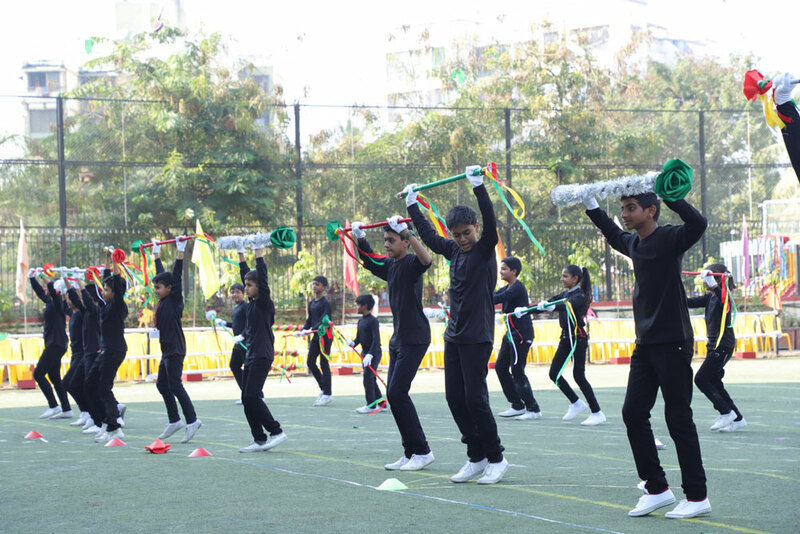 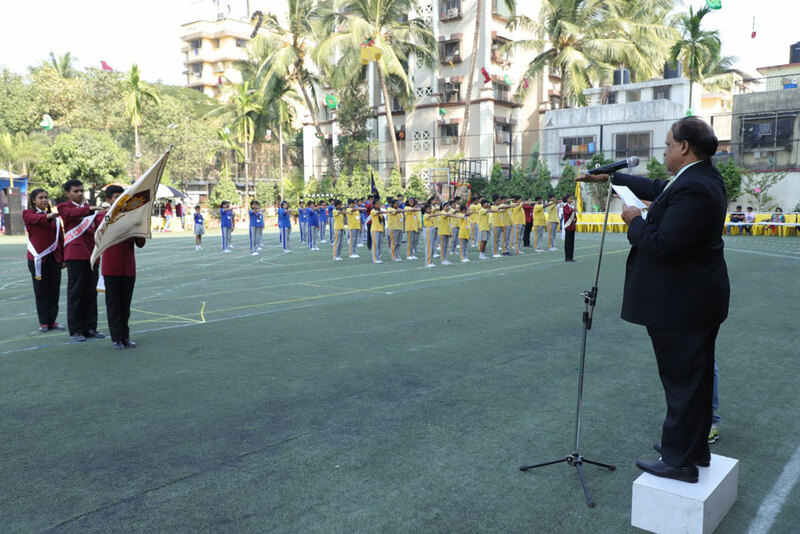 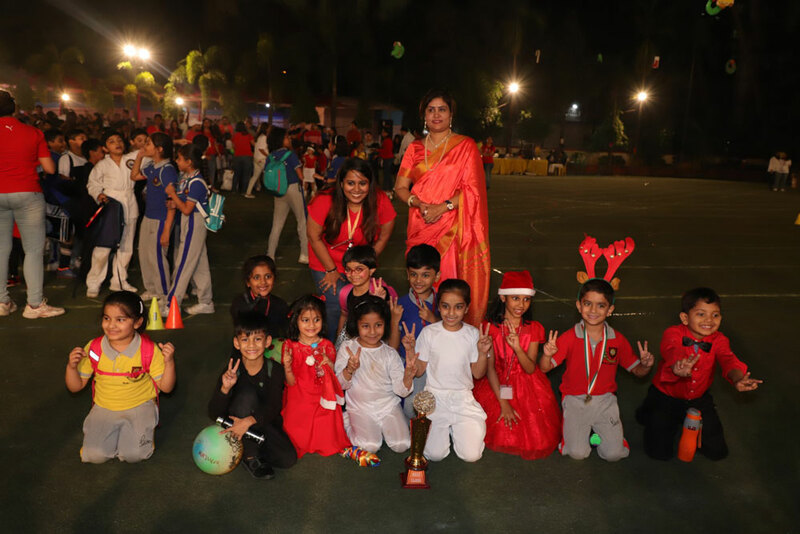 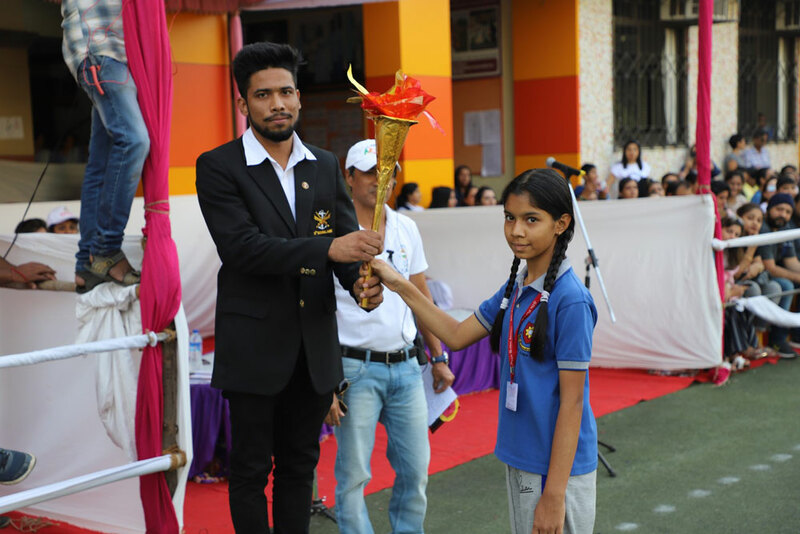 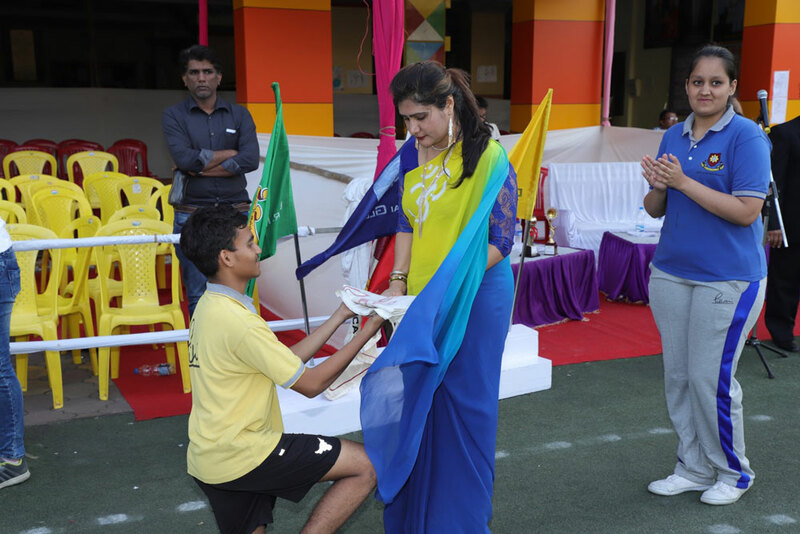 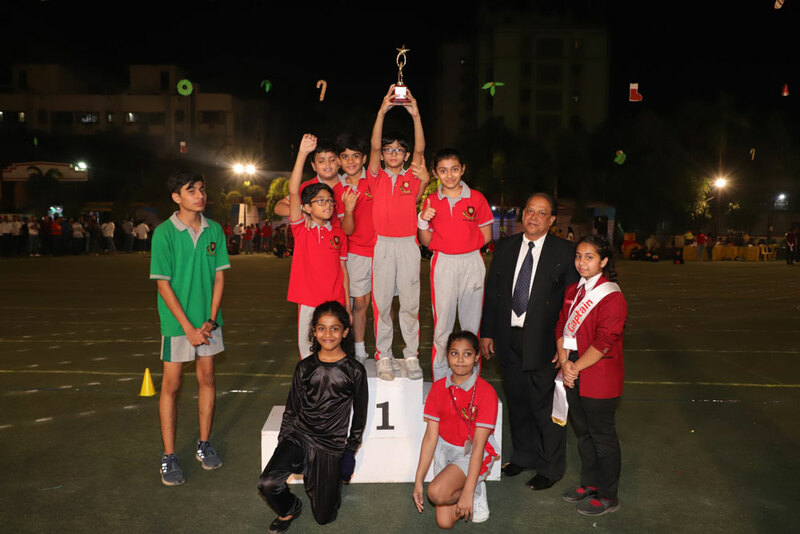 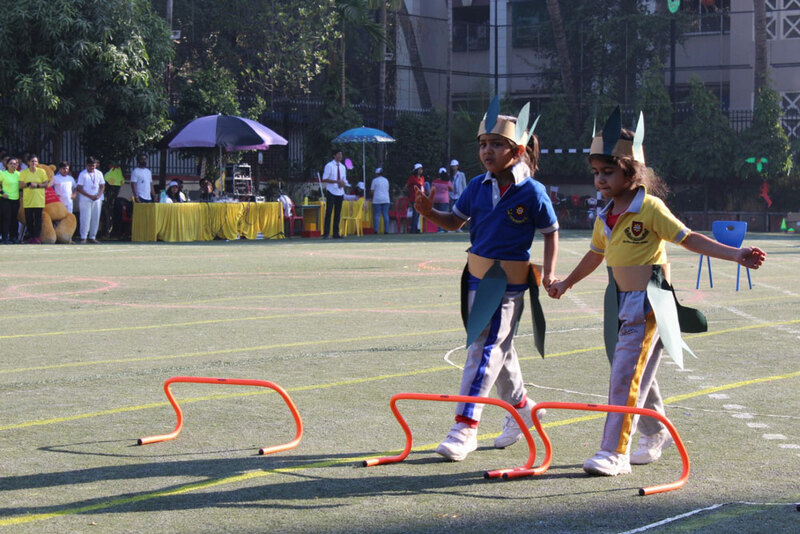 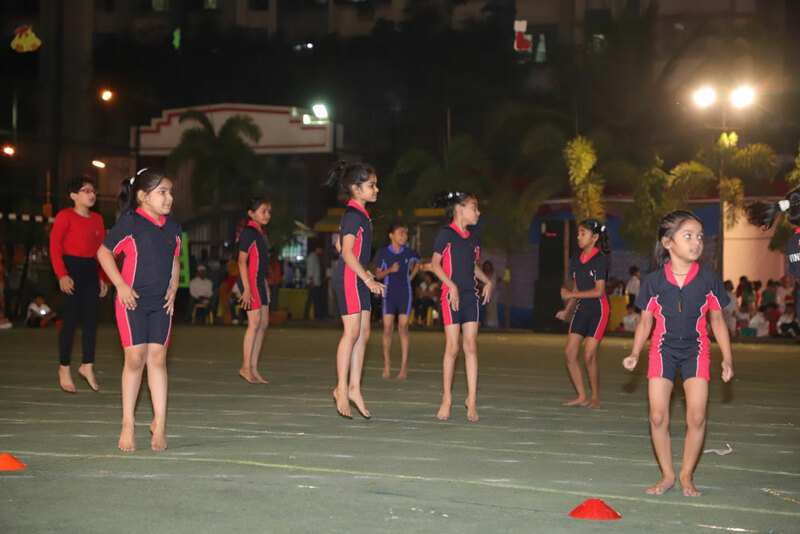 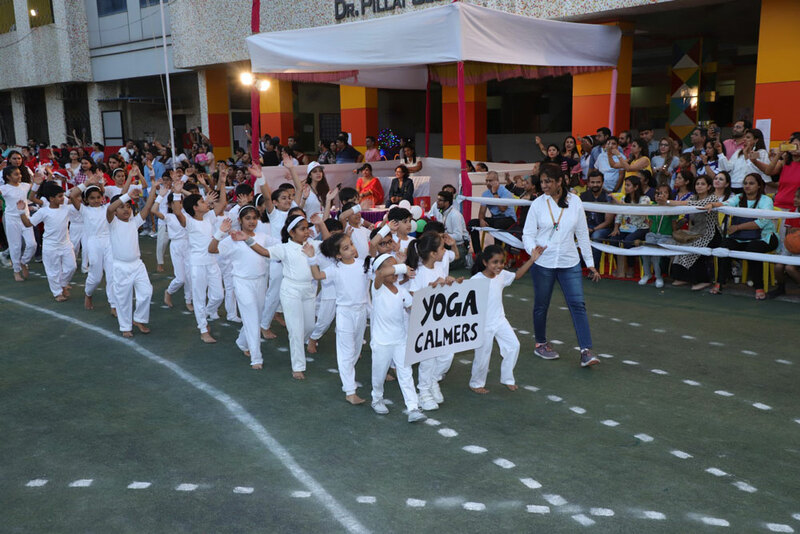 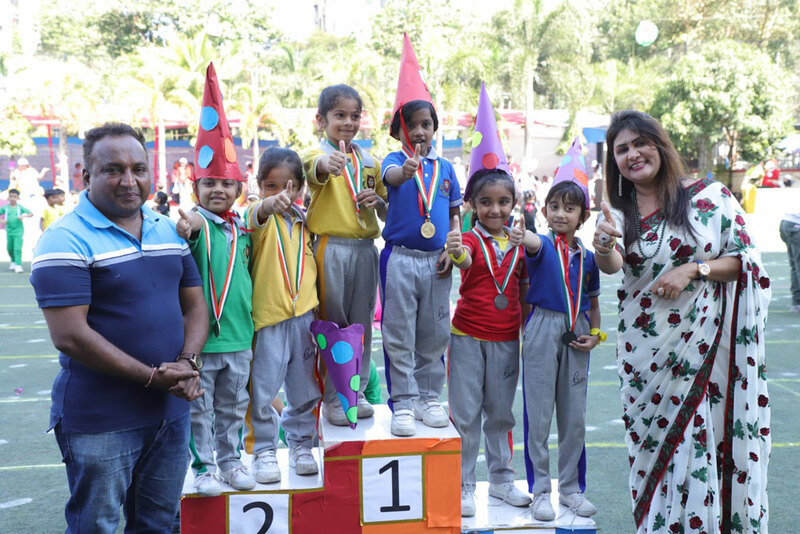 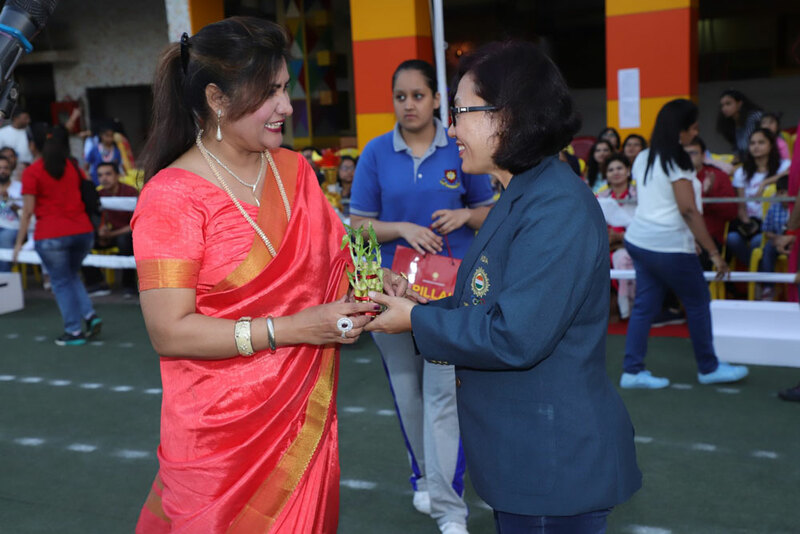 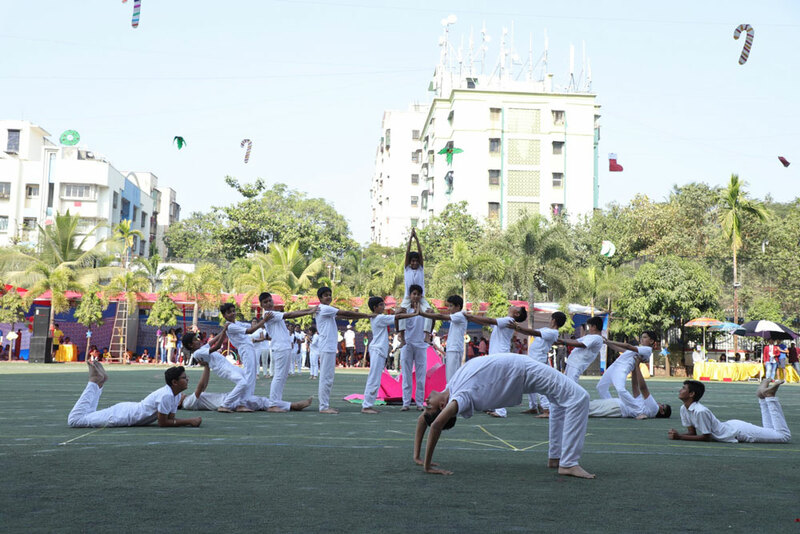 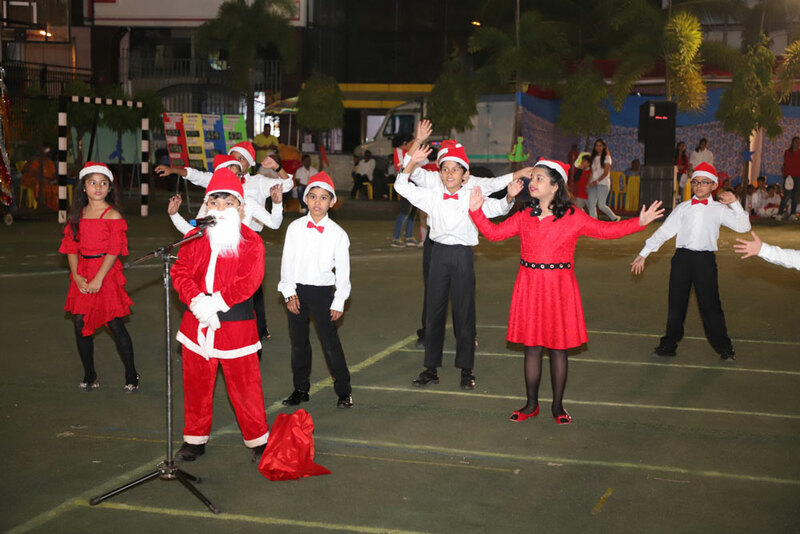 DPGA’s fun filled 13th Annual Sports Meet 2018-19 started with the preprimary section. 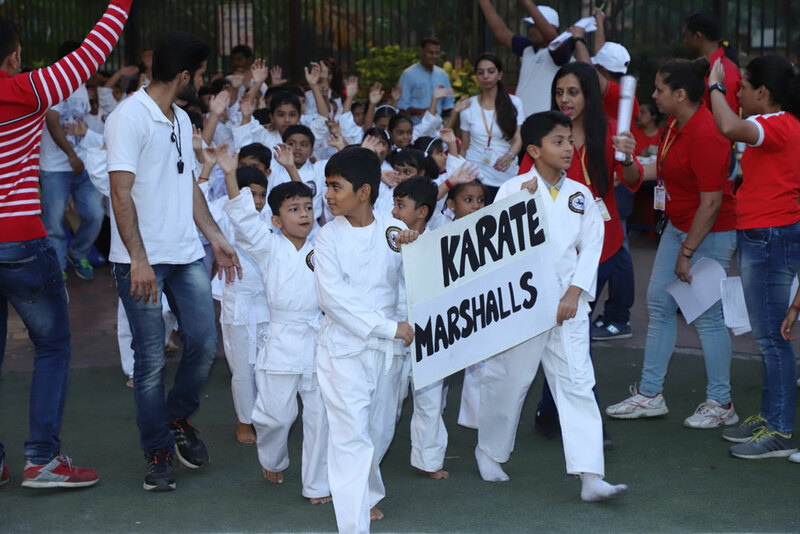 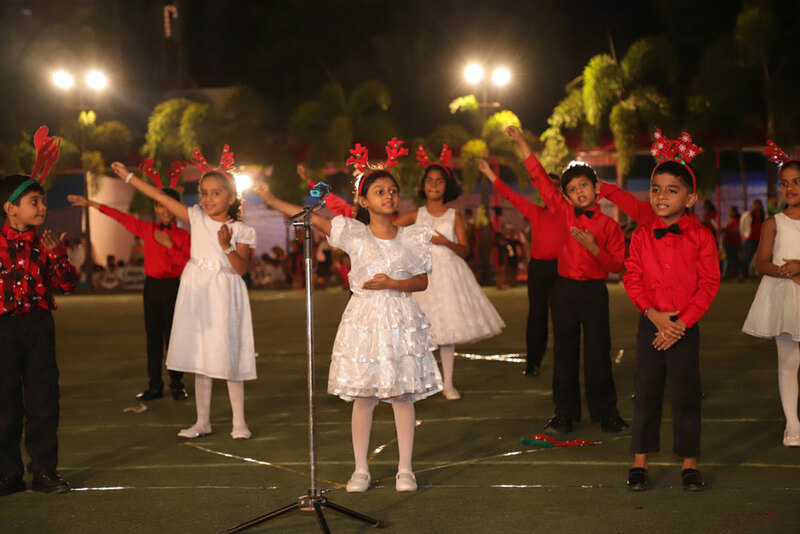 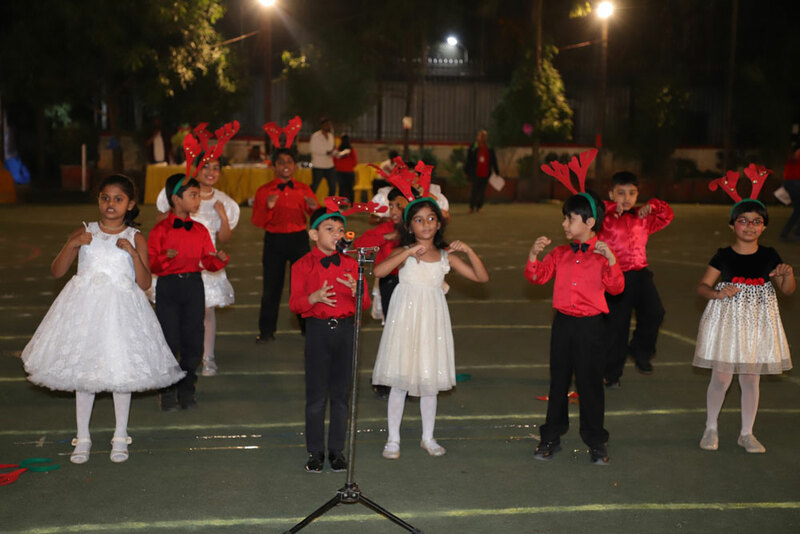 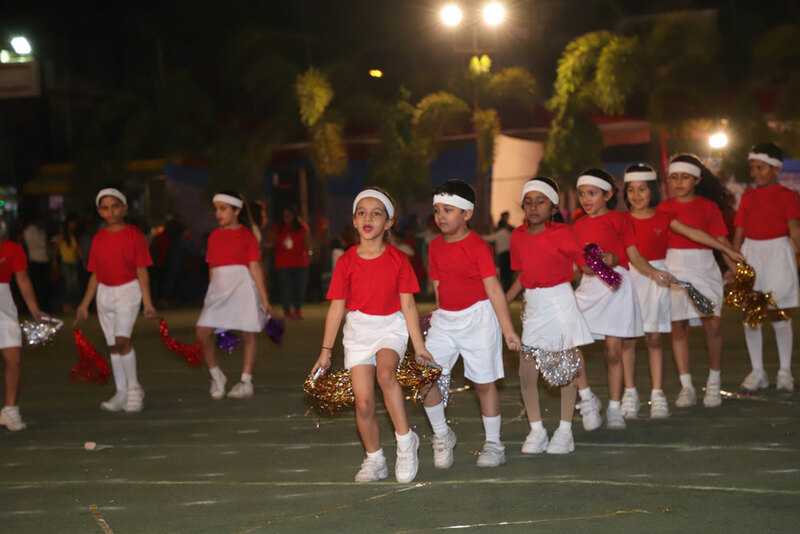 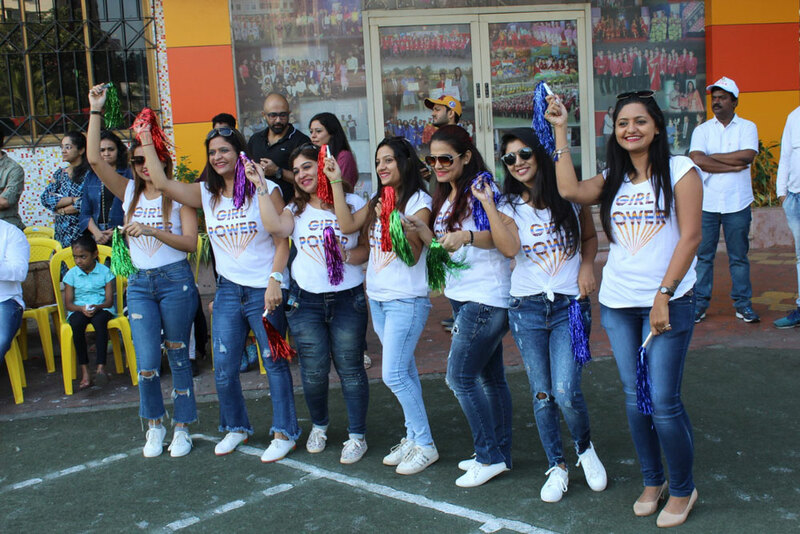 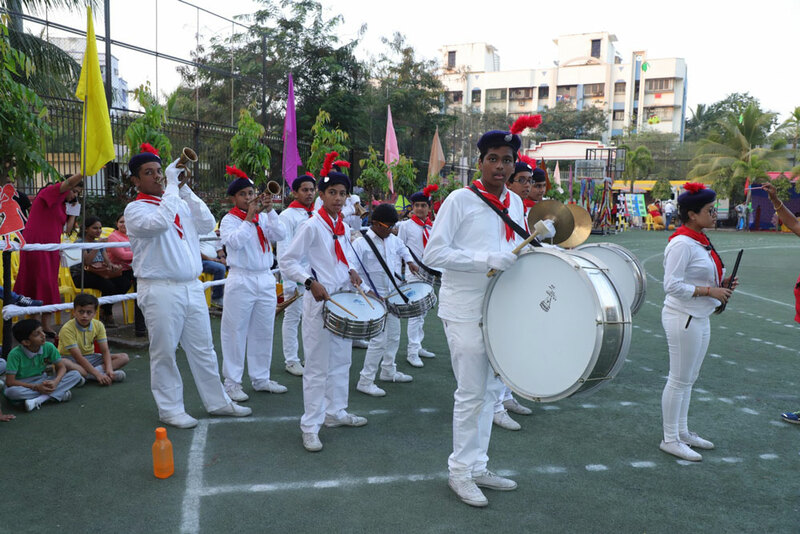 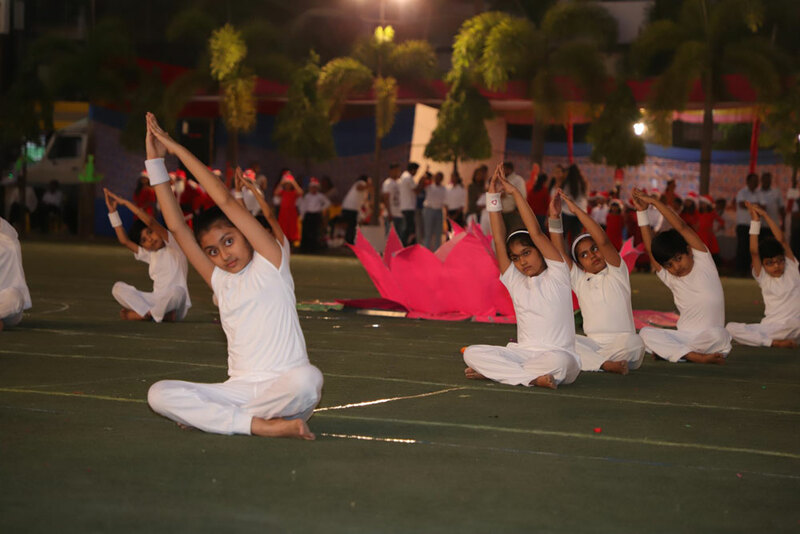 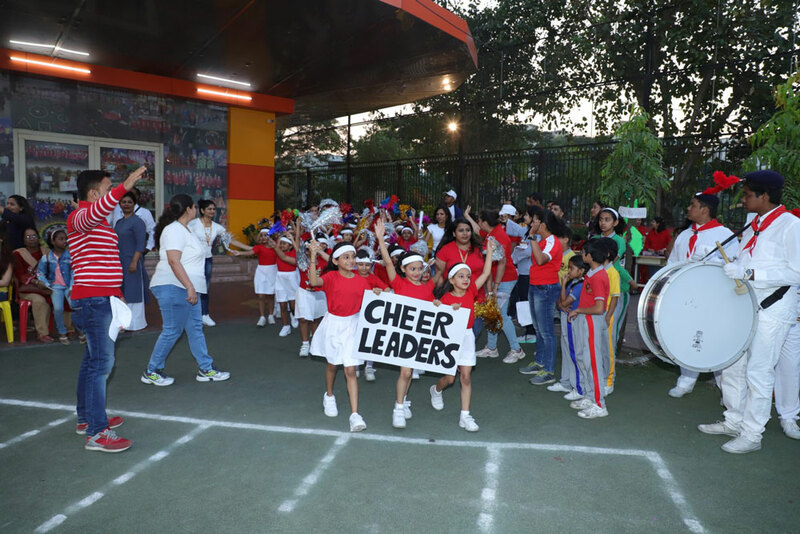 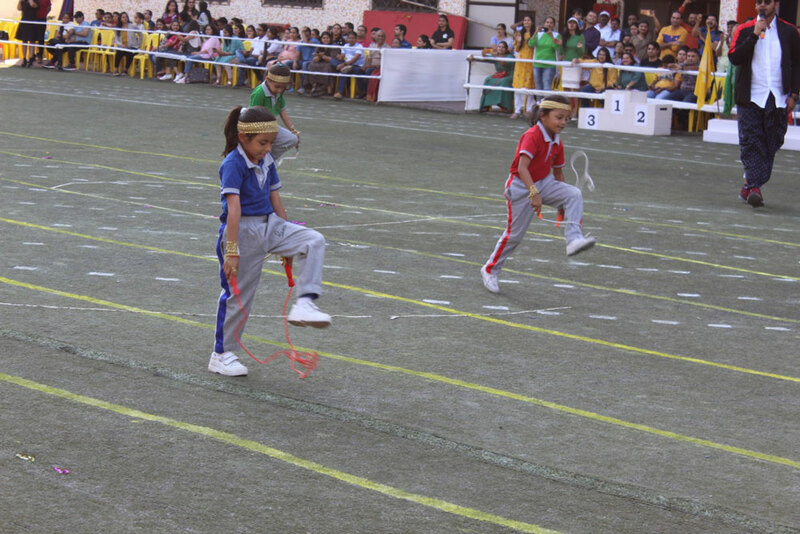 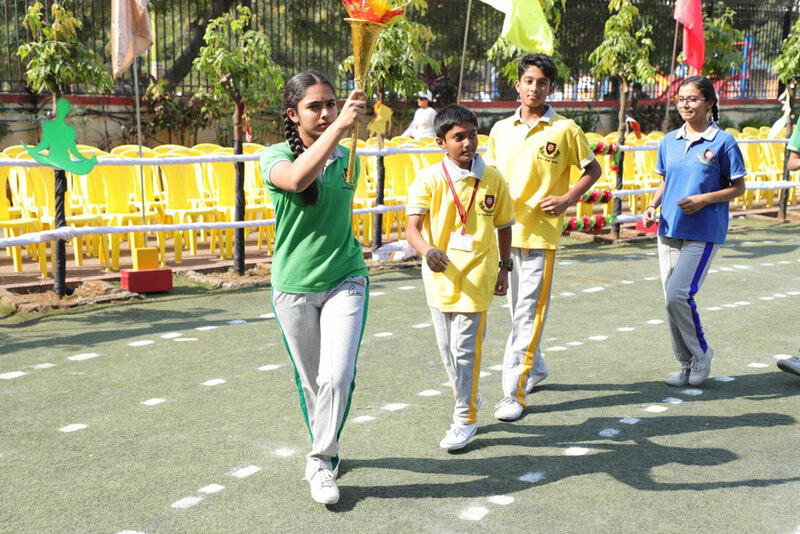 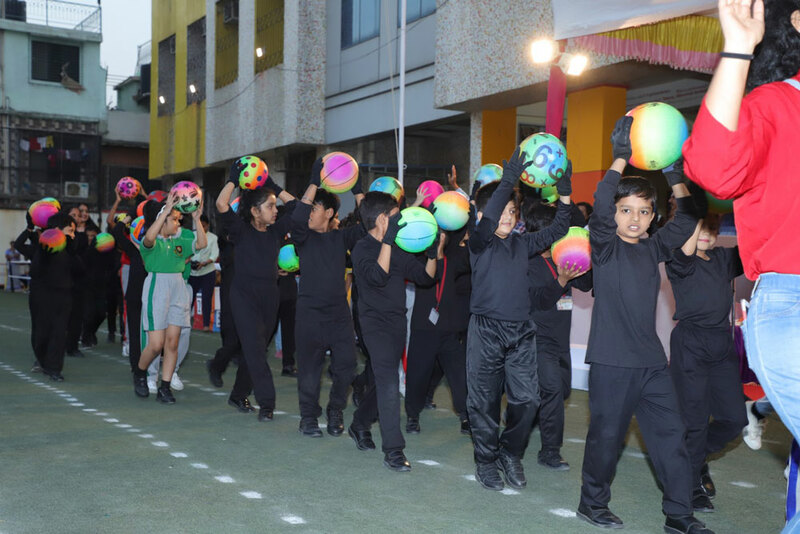 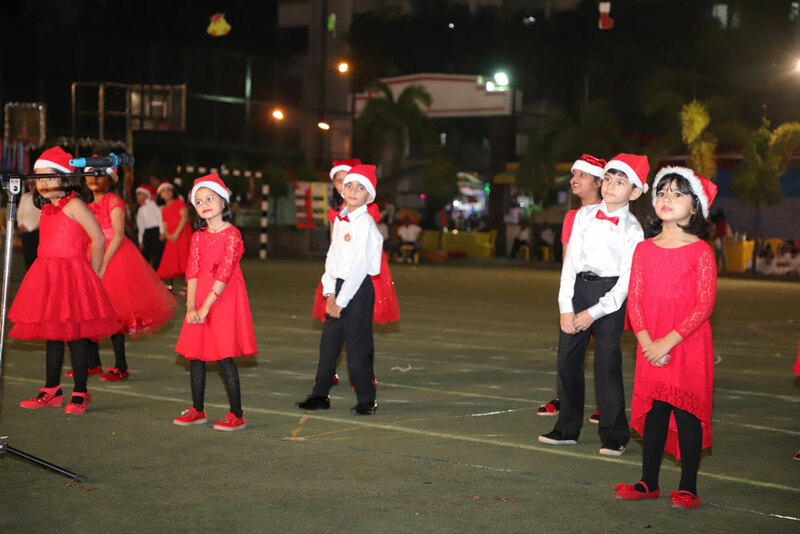 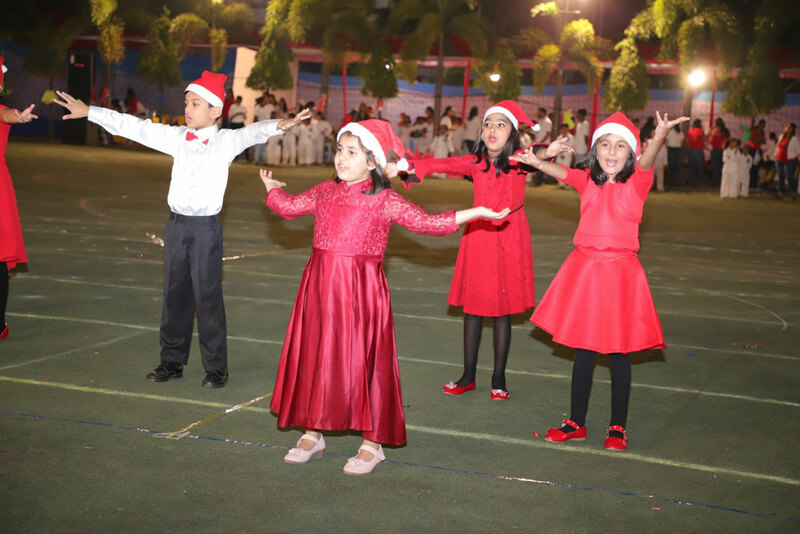 Energetic little babies dressed vibrantly participated sportively in new generation sports events and entertaining displays. 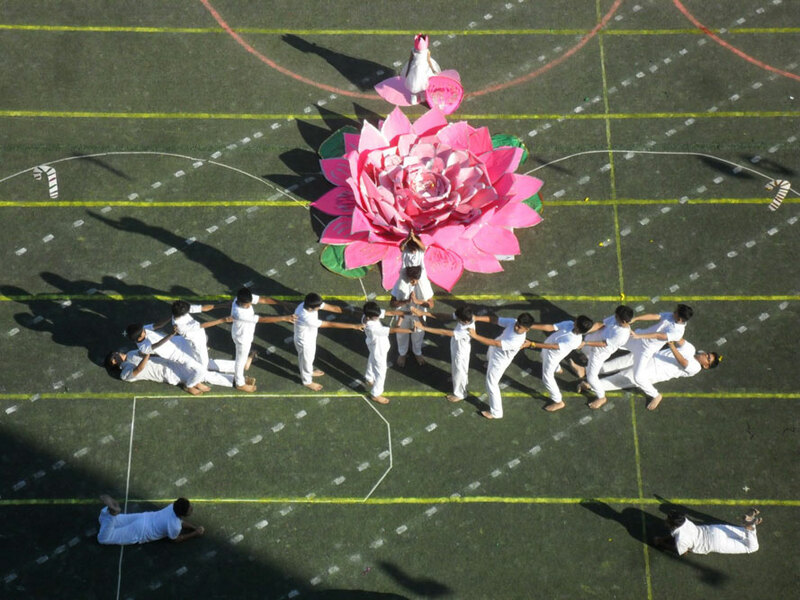 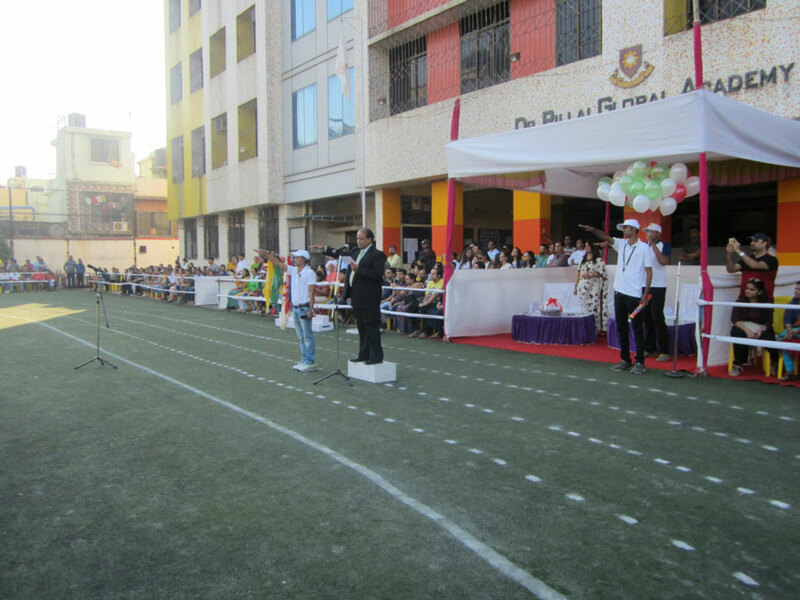 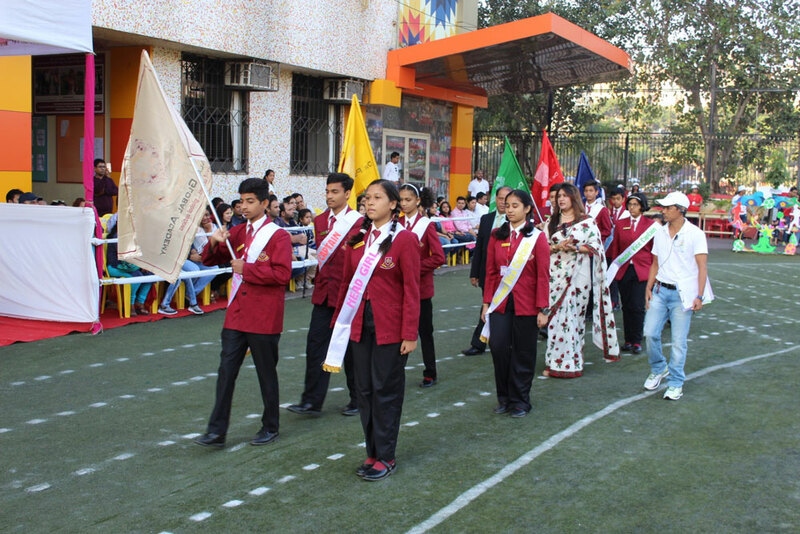 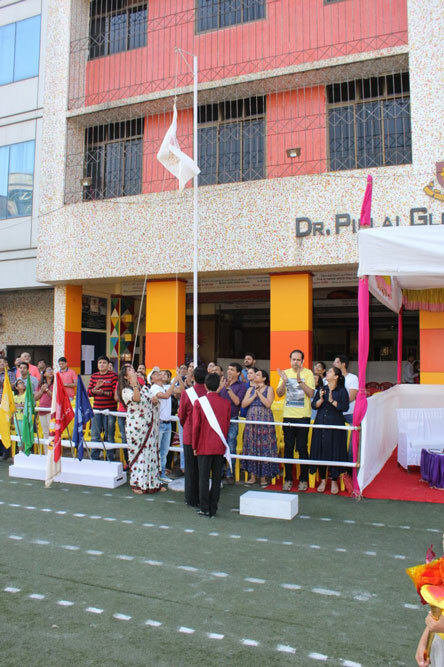 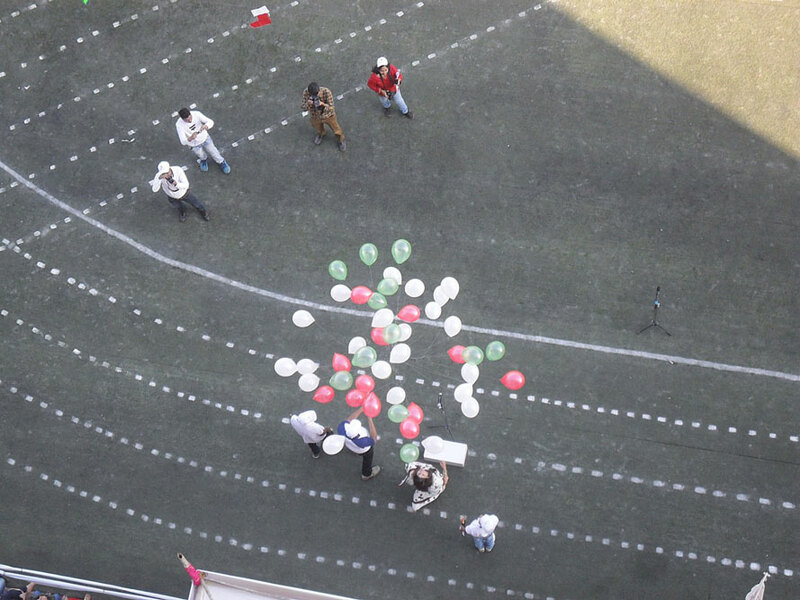 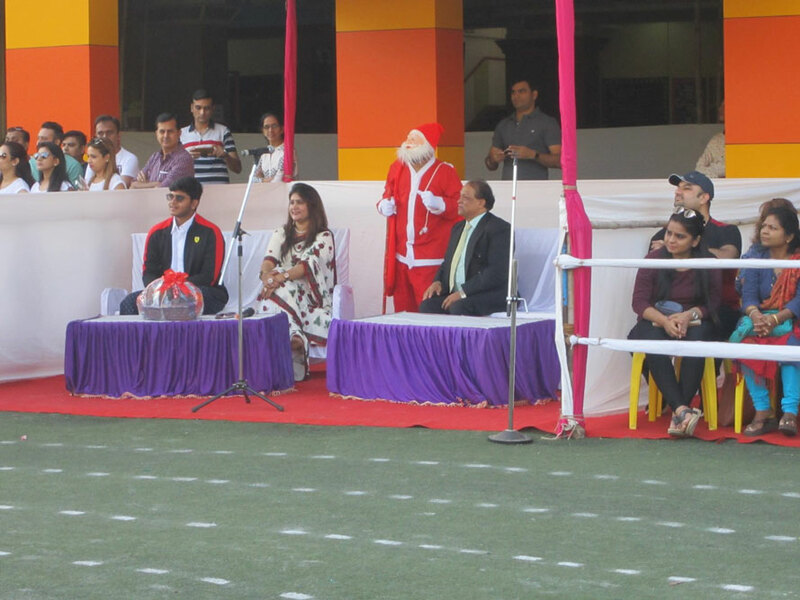 A cheerful crowd, the dignitaries of the school, Dy. 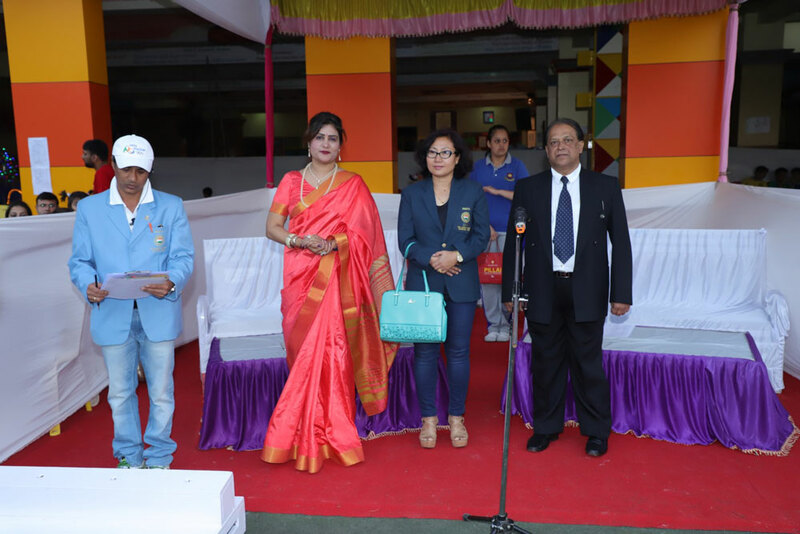 CEO & Director Dr. Sharda Sharma and Director Principal, Dr. T. A. James, the special anchor Mr. Francis (Vedant Desai of IB2) along with the second anchor Lakshya Sharma of IB2 added spice to the event.